The large selection of crown mouldings from Orac Decor features large profiles without tedious buildup. 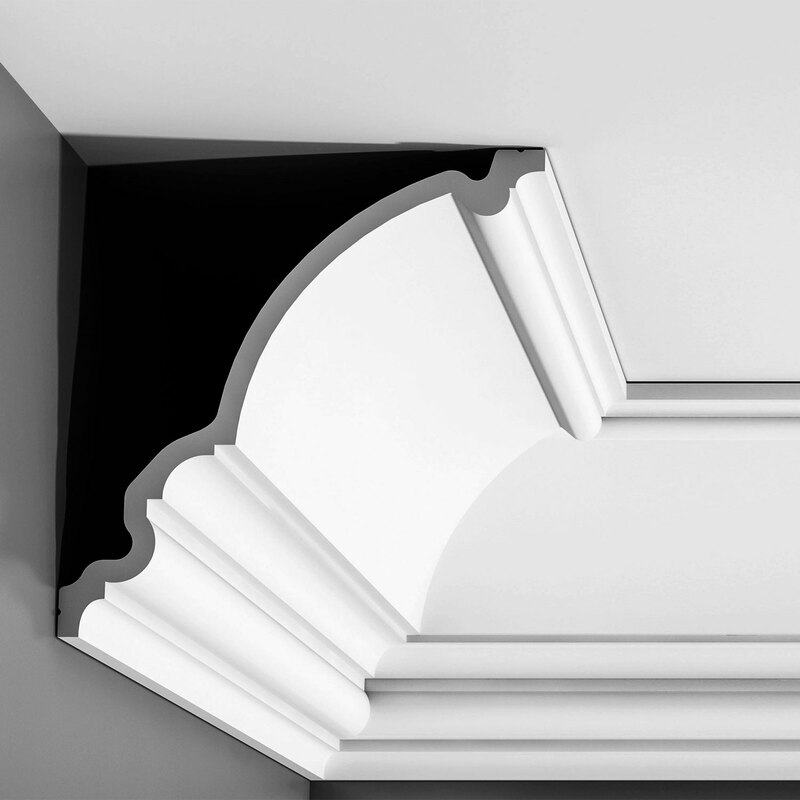 These ornate cornice mouldings are durable and lightweight. 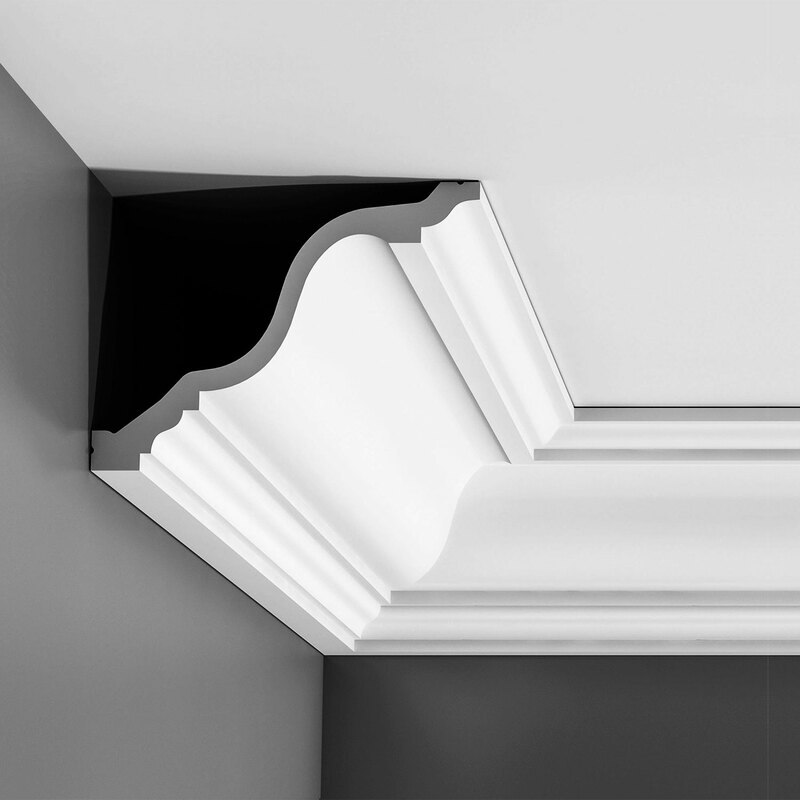 Along with that, the large selection of crown mouldings available from Orac Decor, Europe’s #1 choice for interior design, brings classic European design right here to the USA. 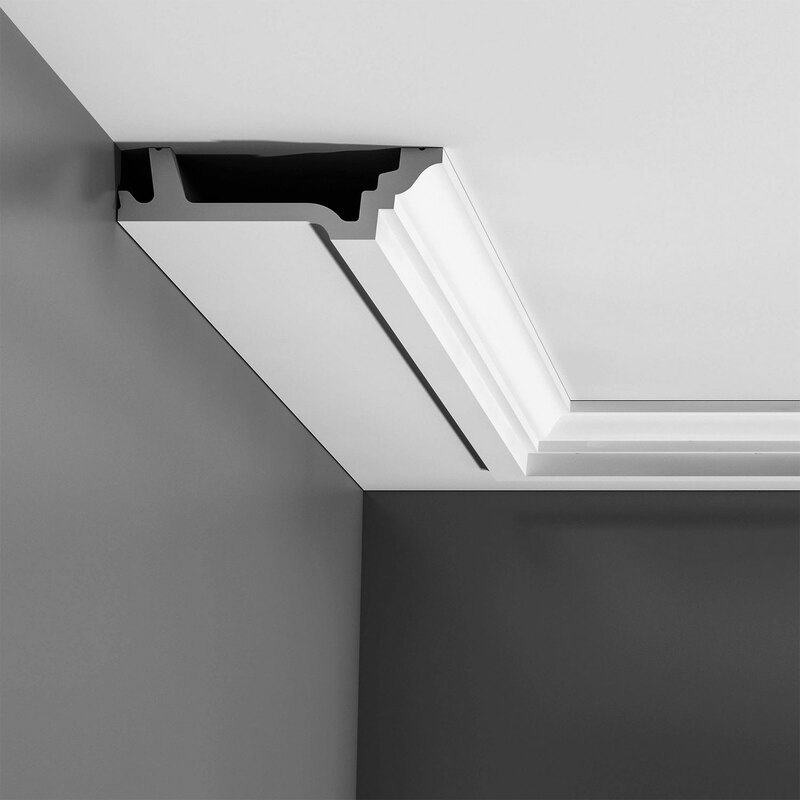 The mouldings are all manufactured exclusively in Orac Decor’s steel molds. 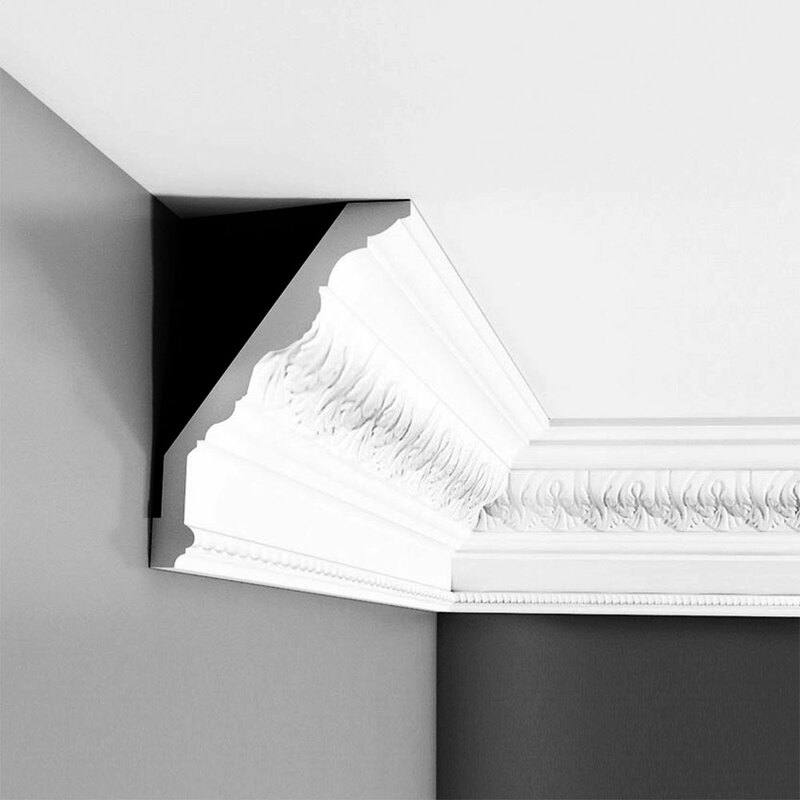 This produces unparalleled quality, sharp and defined details, and consistent proportions in each moulding. 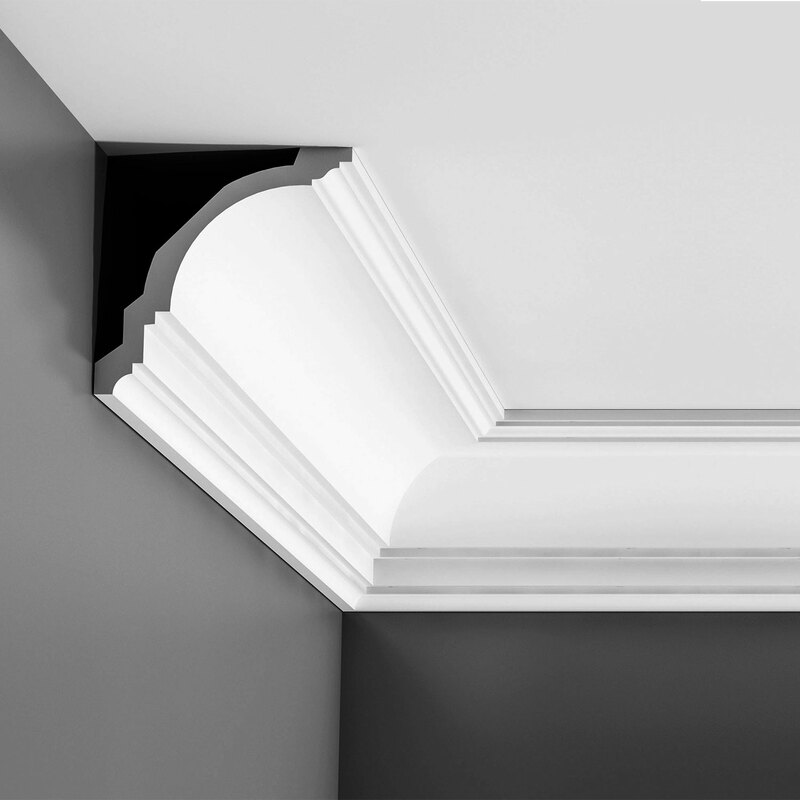 You’ll have perfectly identical cornice mouldings, creating a seamless install in any home renovation or new construction. 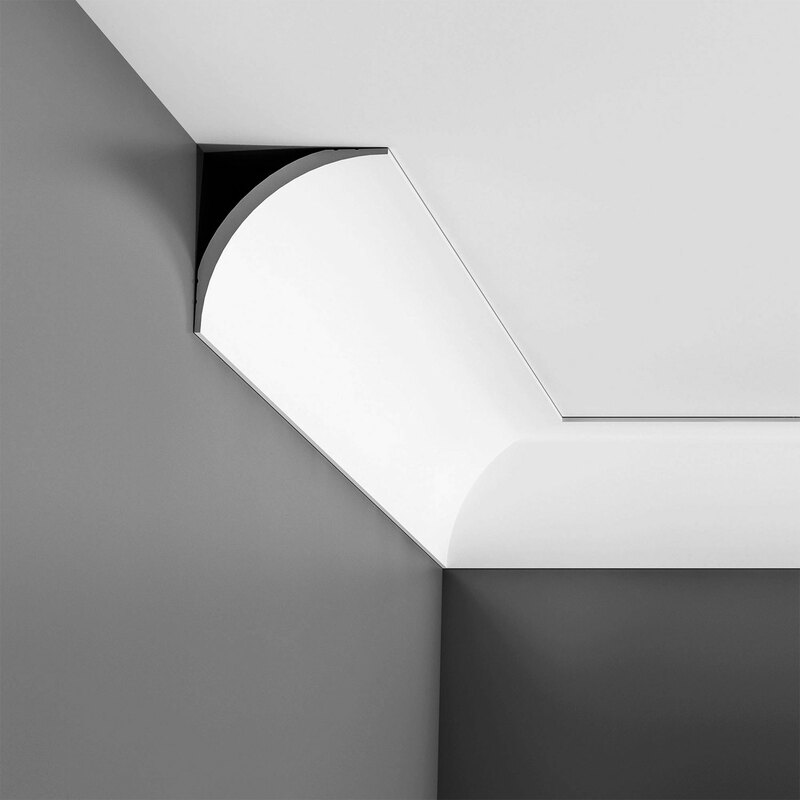 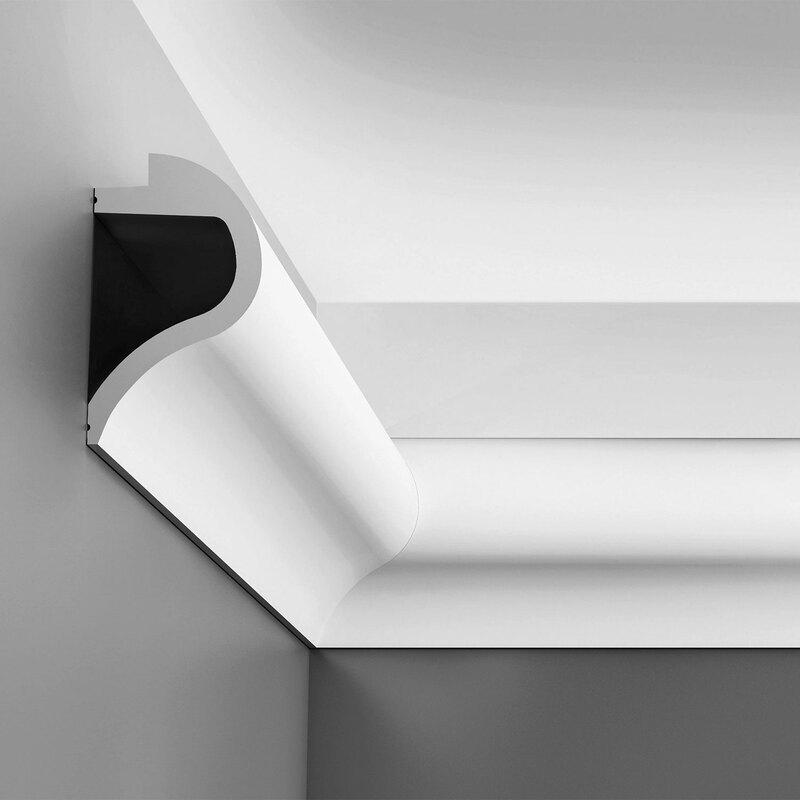 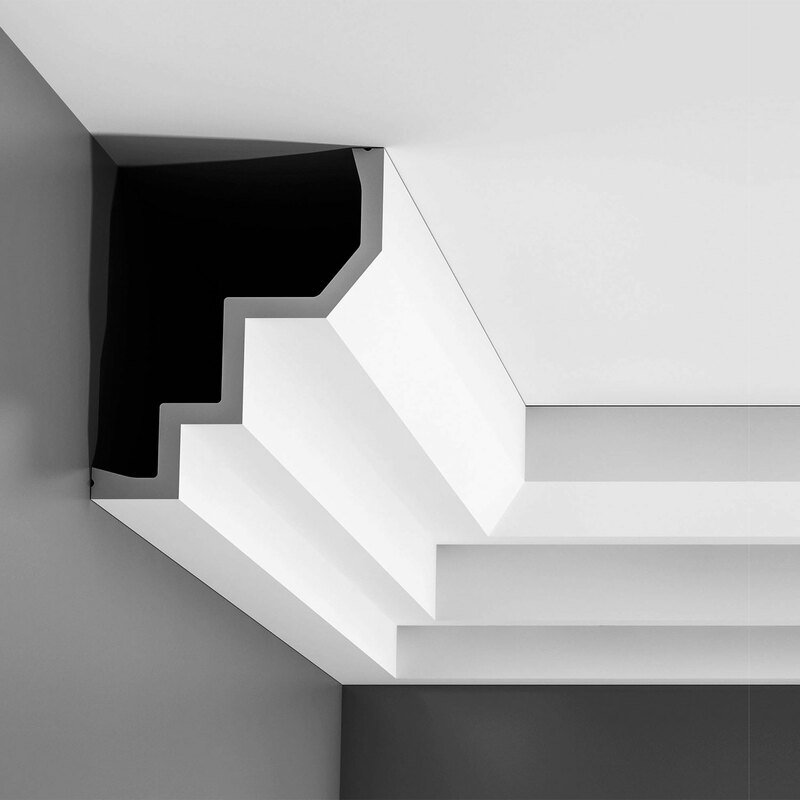 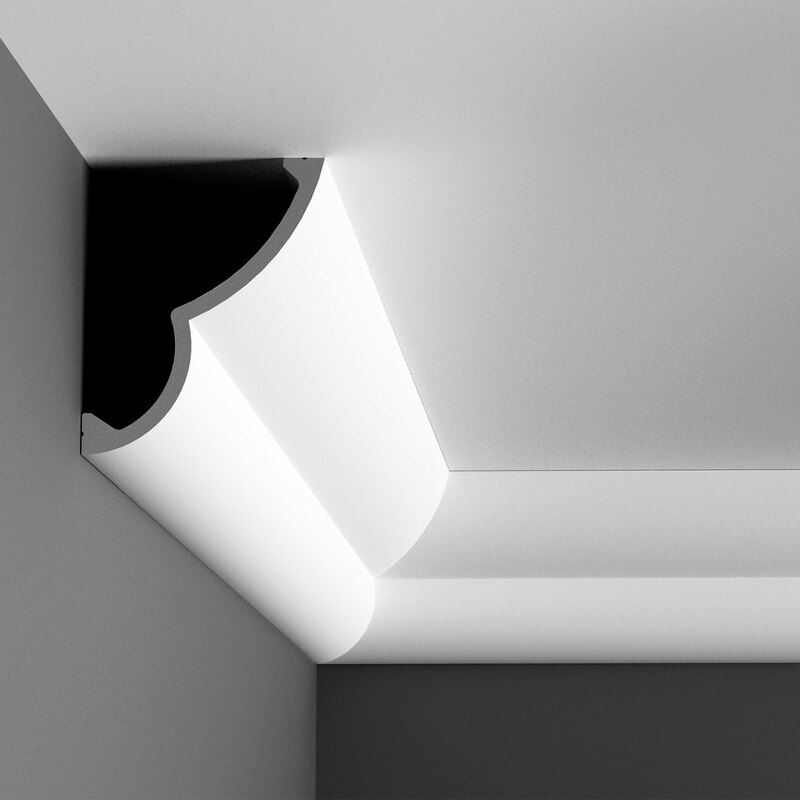 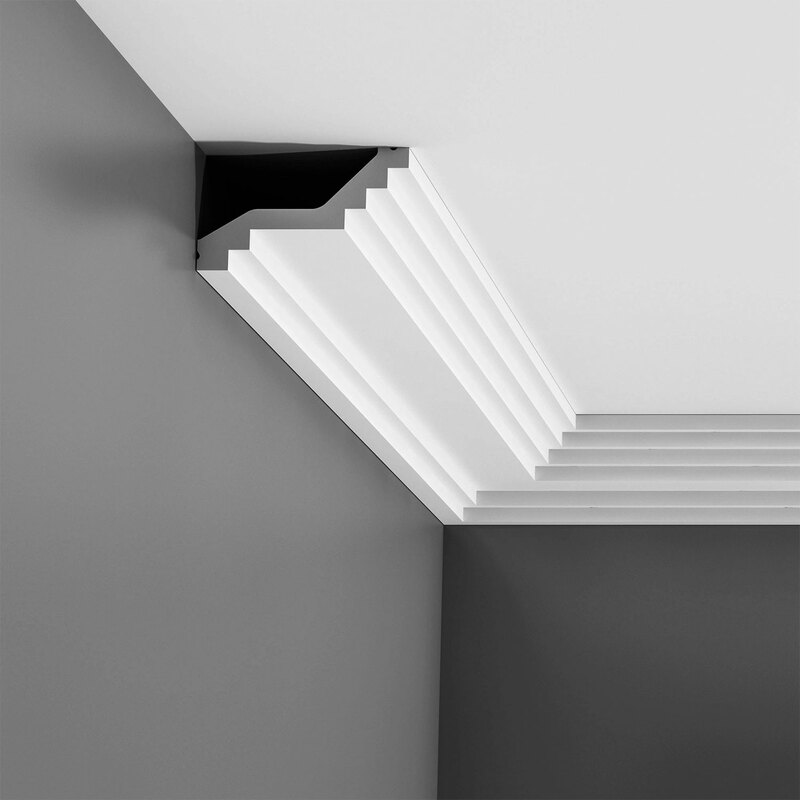 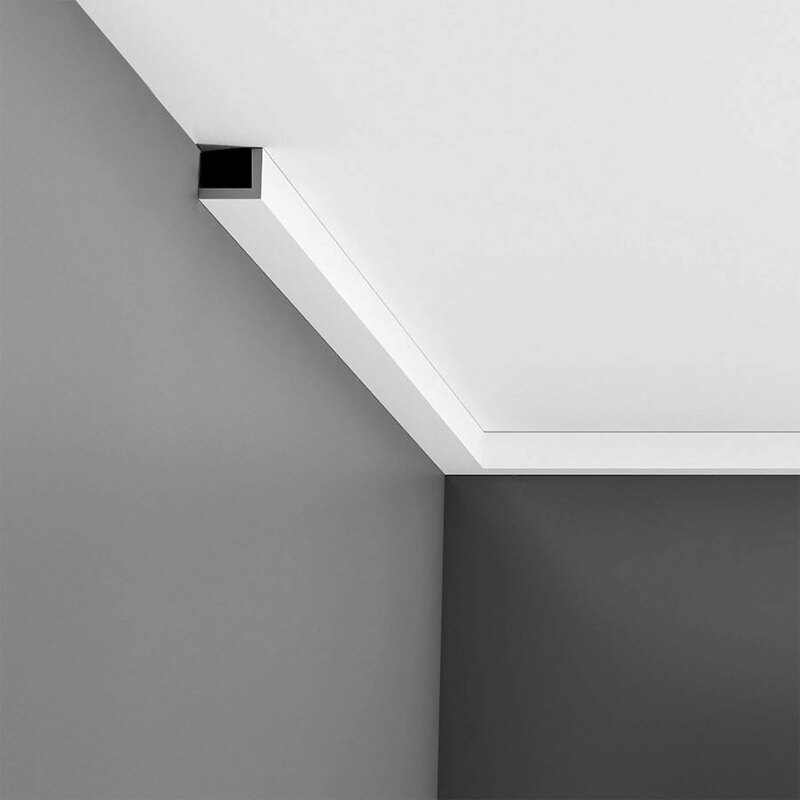 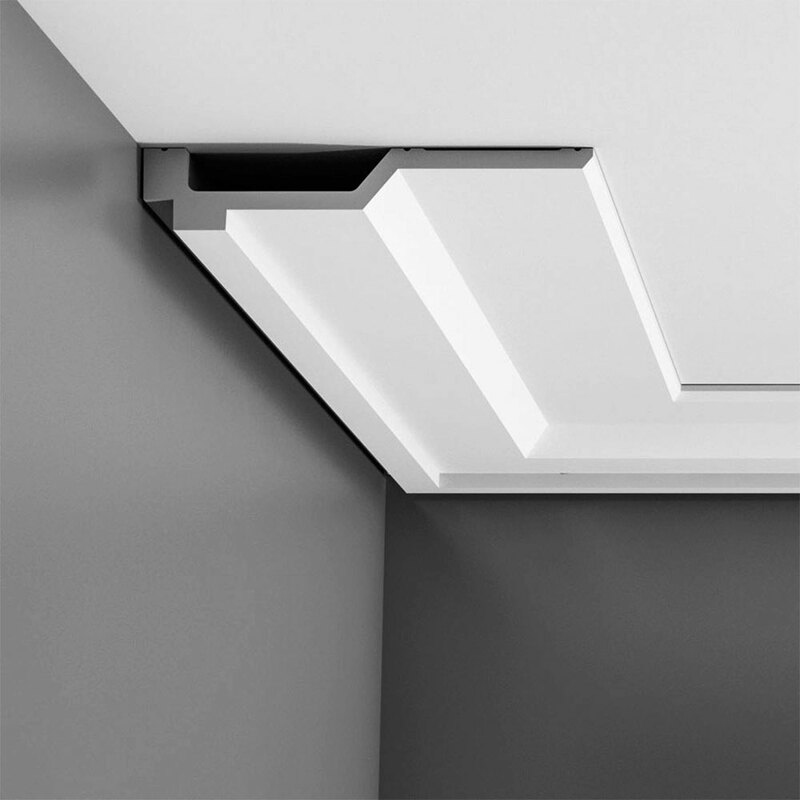 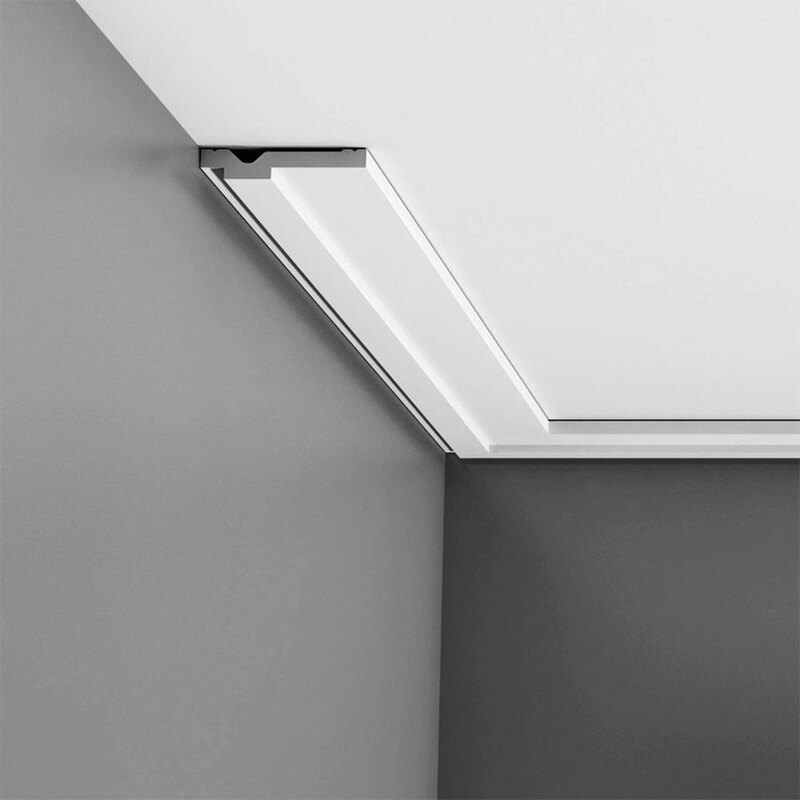 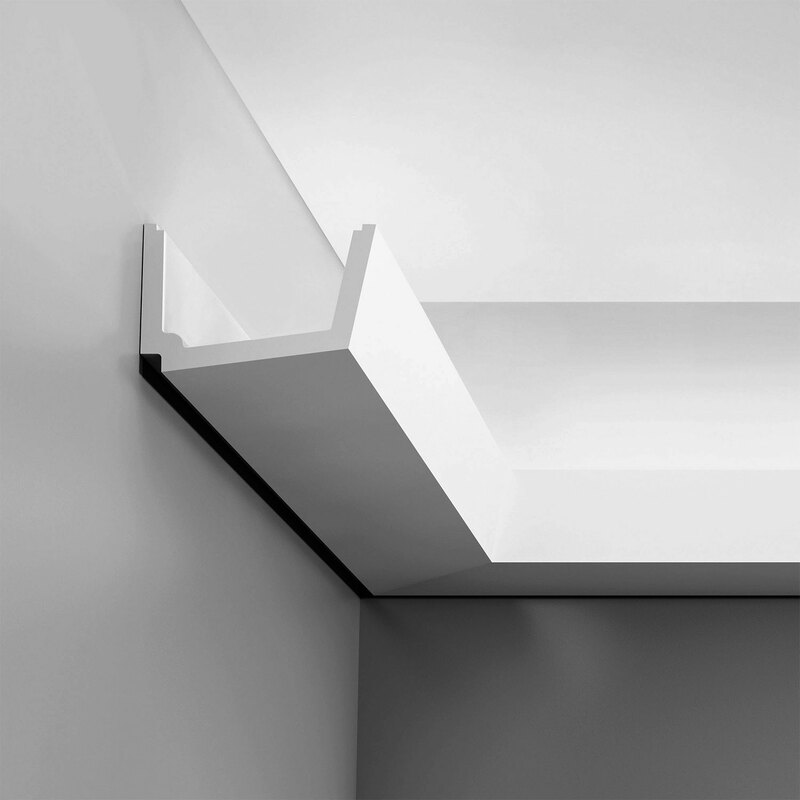 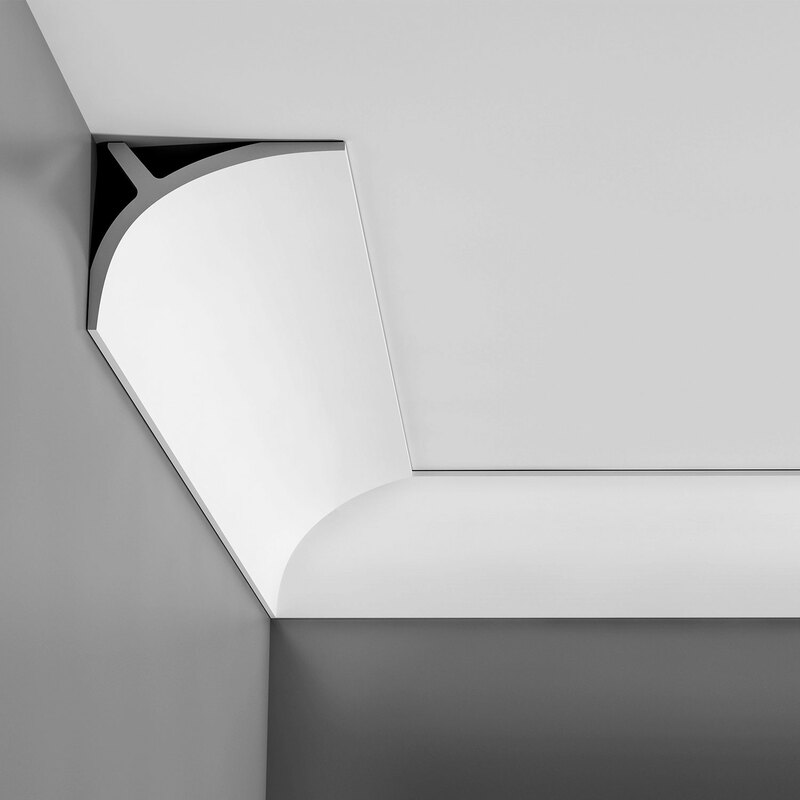 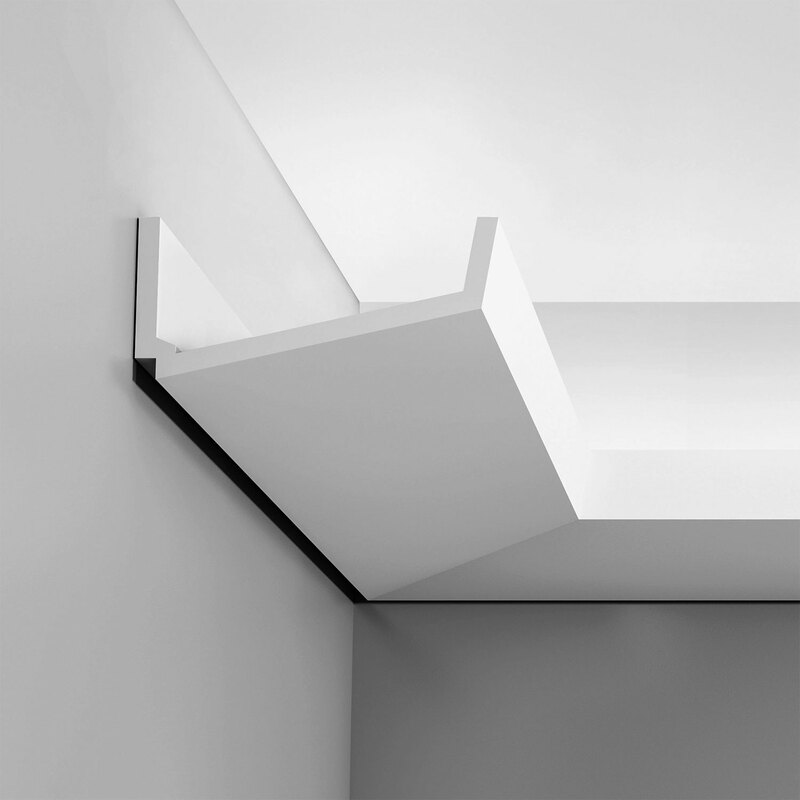 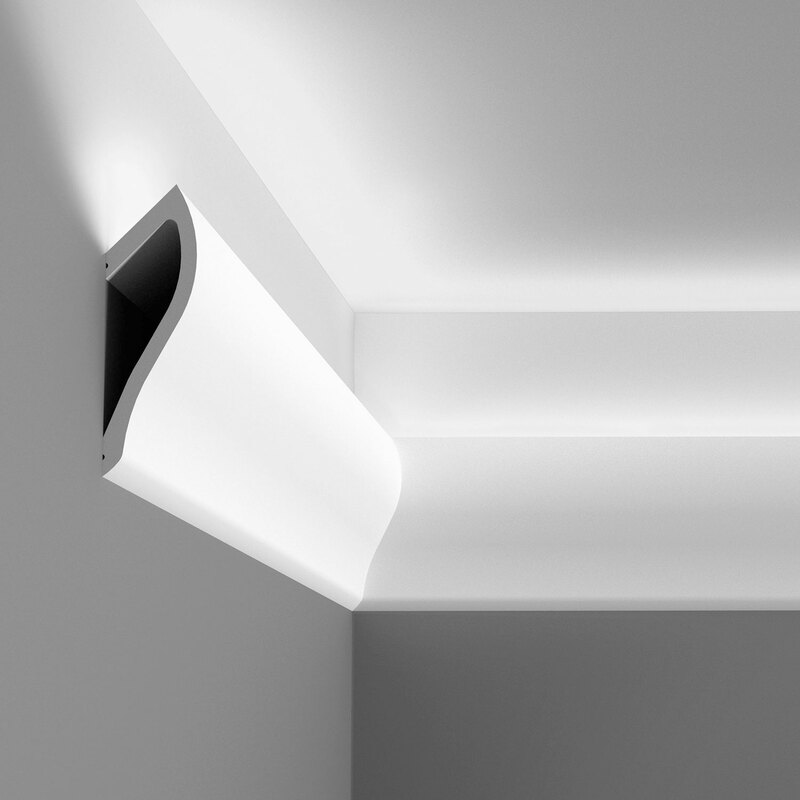 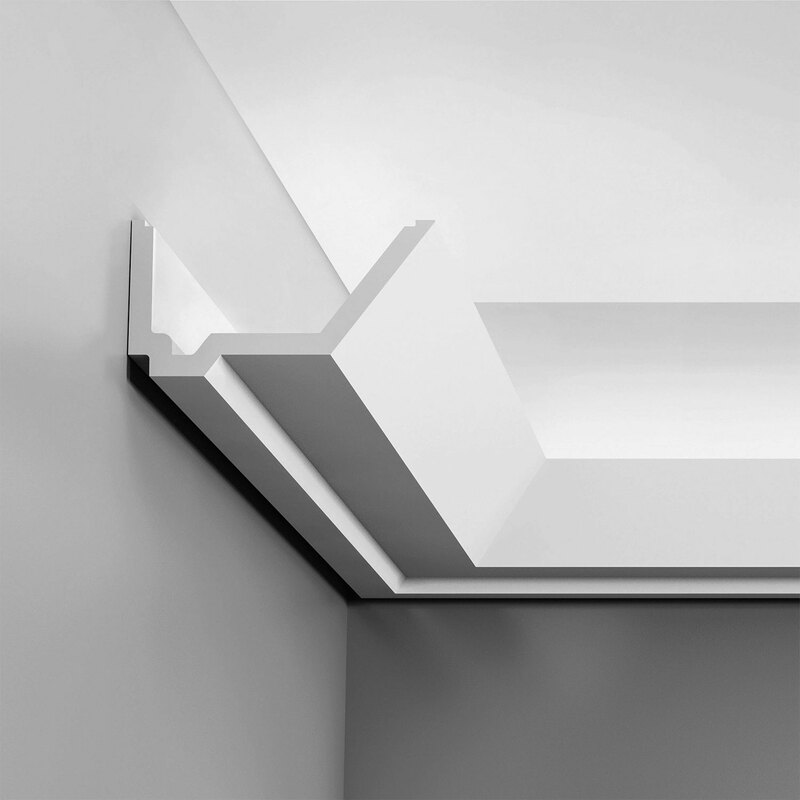 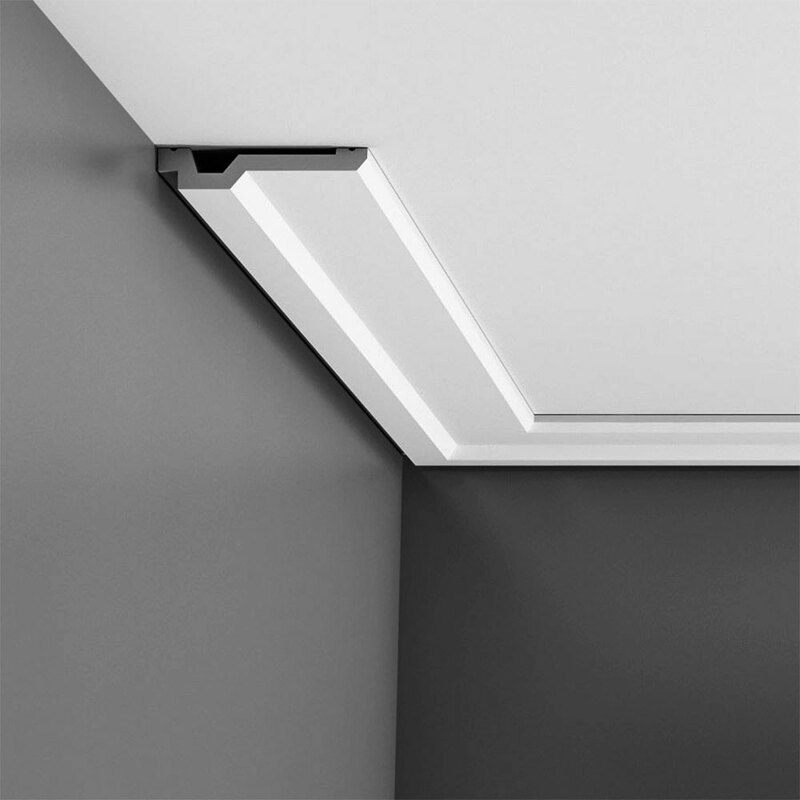 Unlike traditional wood coving that has to be built up with multiple pieces to achieve large profiles, Orac Decor’s crown mouldings are made of a strong polyurethane which allows for large profiles in one simple piece. 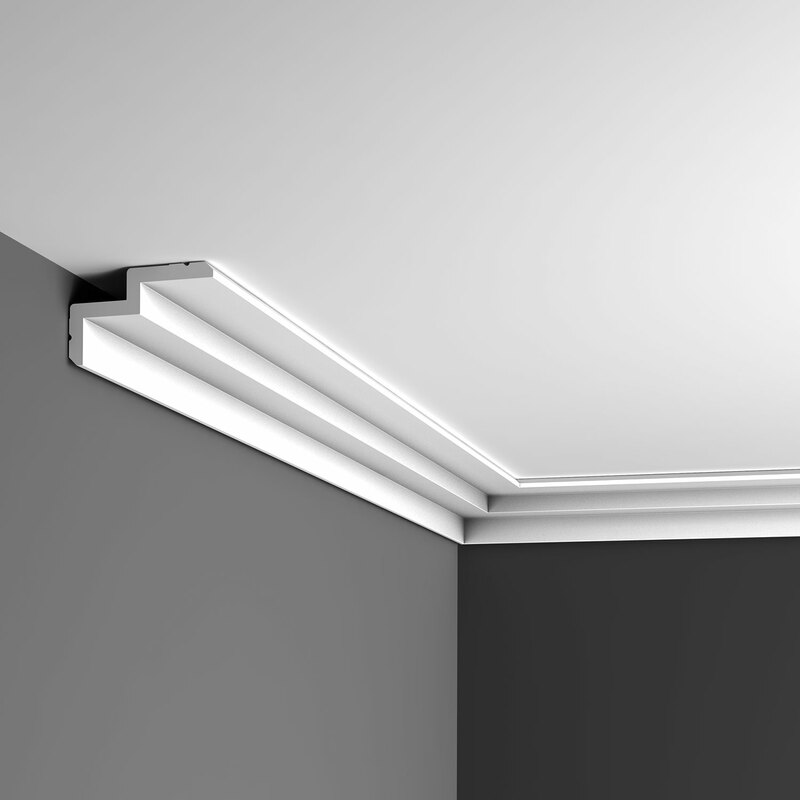 Crown moulding installation has never been easier or more cost effective then with Orac Decor. Each piece of moulding comes in 6ft 6in pieces and is easily installed with everyday woodworking tools, as well as Orac Decor’s exclusive line of adhesives, designed for a stronger bond and seamless joints. 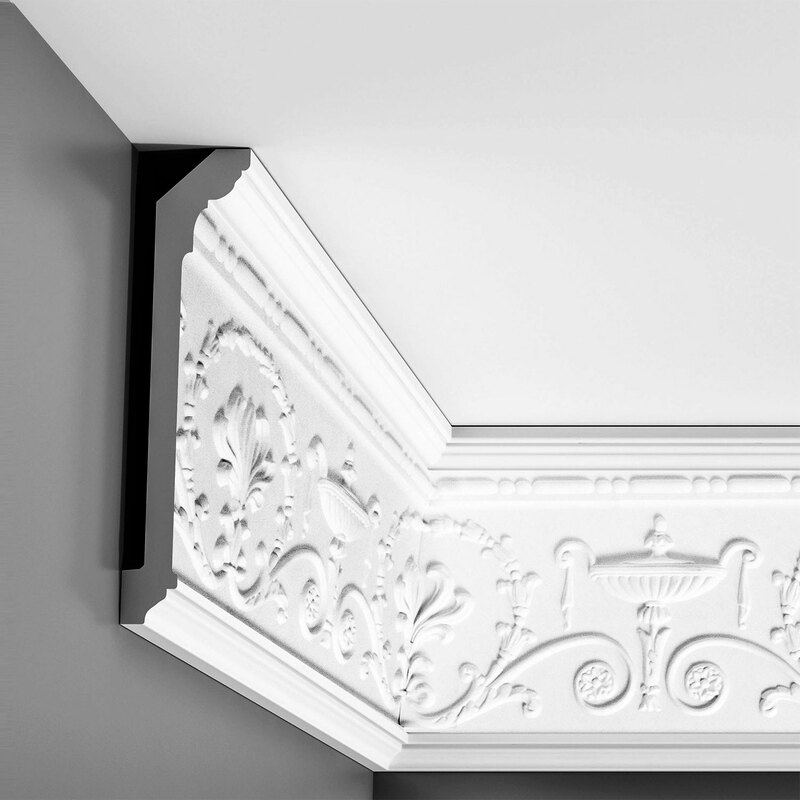 Orac Decor’s cornice mouldings collection offers a vast amount of styles to choose from, all the way from functional styles to decorative ones, making them extremely design friendly. 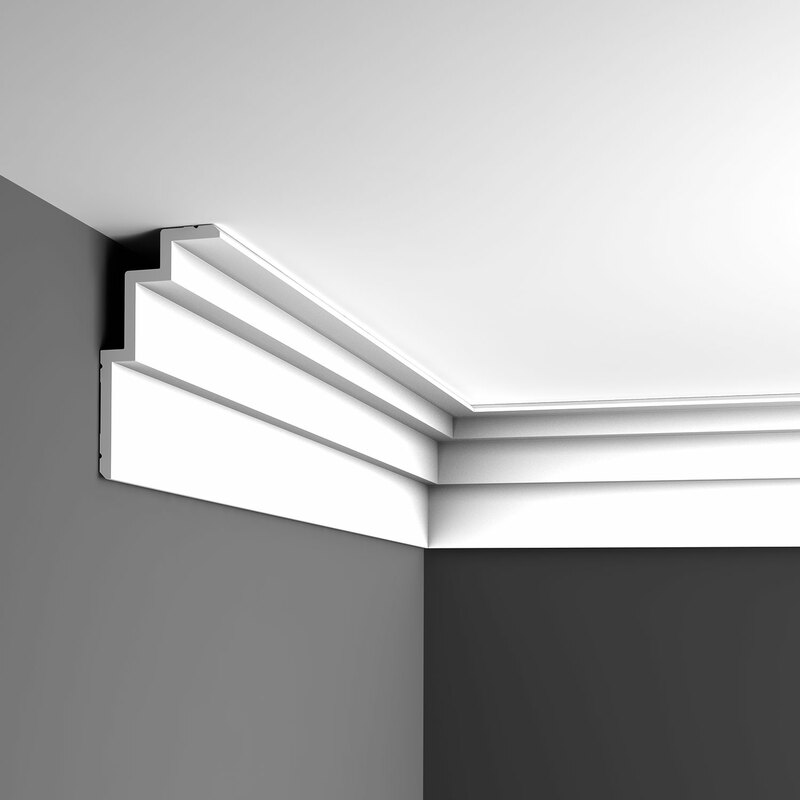 Not only are these mouldings design friendly, they help to define and separate each room of your home and won’t contract, expand, or warp with changes in humidity. Several styles of the crown moulding are also available as Orac Decor’s signature flexible mouldings, making them perfect for installation on curved walls, ceilings, doorways, and more. Orac Decor polyurethane crown mouldings and cornice mouldings, often referred to as mouldings and millwork, are produced in exclusive, rigid steel molds that faithfully yield sharply defined details, perfect dimensions, and extremely consistent quality. 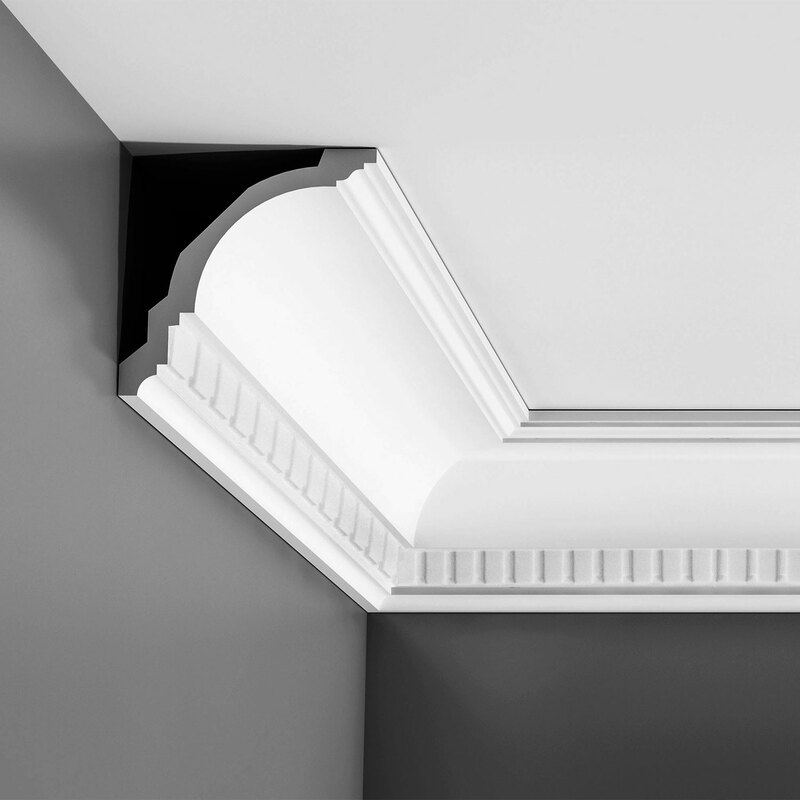 Light, strong and easy to install using traditional techniques and tools, Orac Decor composite crown mouldings and cornice mouldings are primed and ready for painting, glazing or faux finishing, and will endure years of repeated refinishing when necessary. 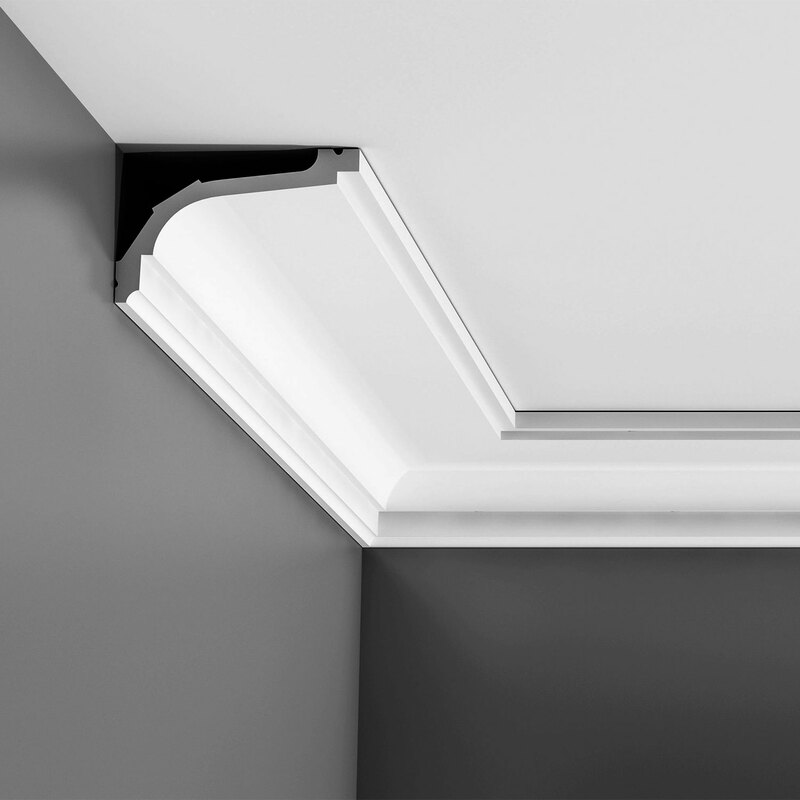 In addition, Orac Decor polyurethane crown mouldings and cornice mouldings are impervious to adverse climate and weather conditions, and because of their dimensional stability, will not alter over time. Unaffected by moisture, insects, UV and most common solvents, Orac Decor crown mouldings and cornice mouldings can be used in applications that would not have been otherwise possible. 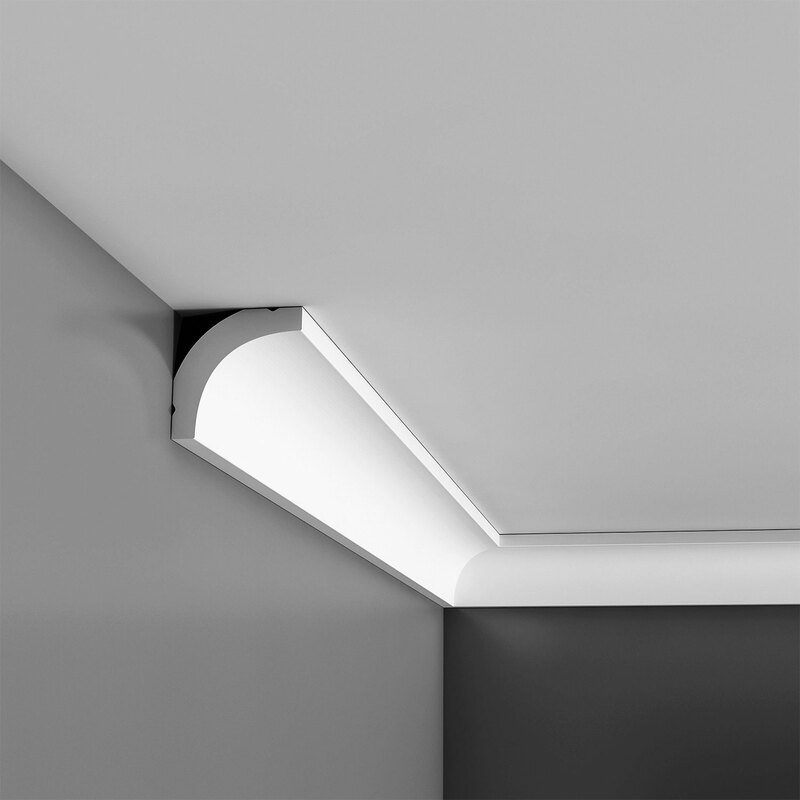 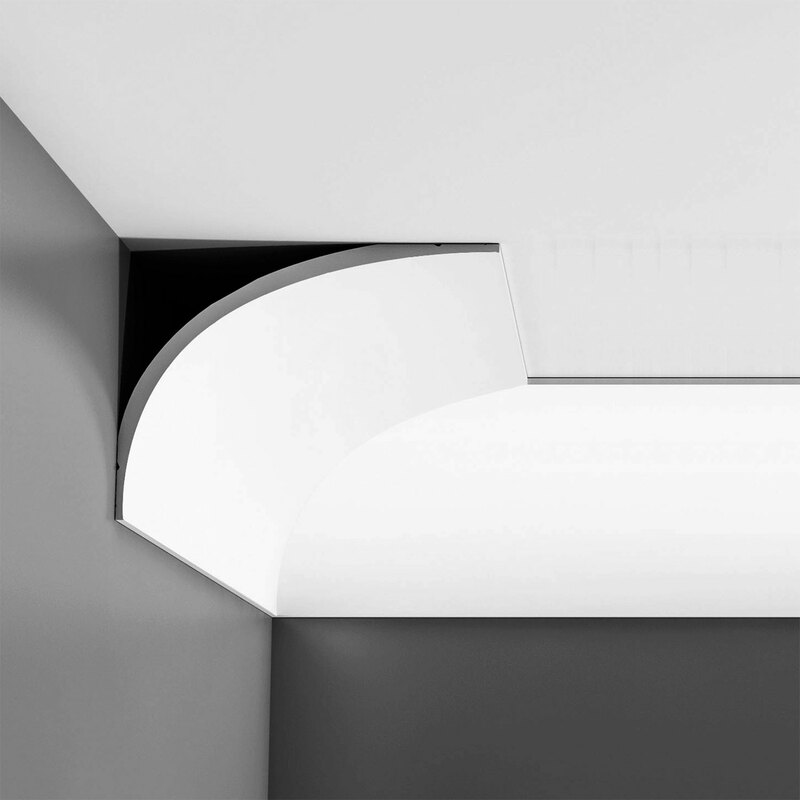 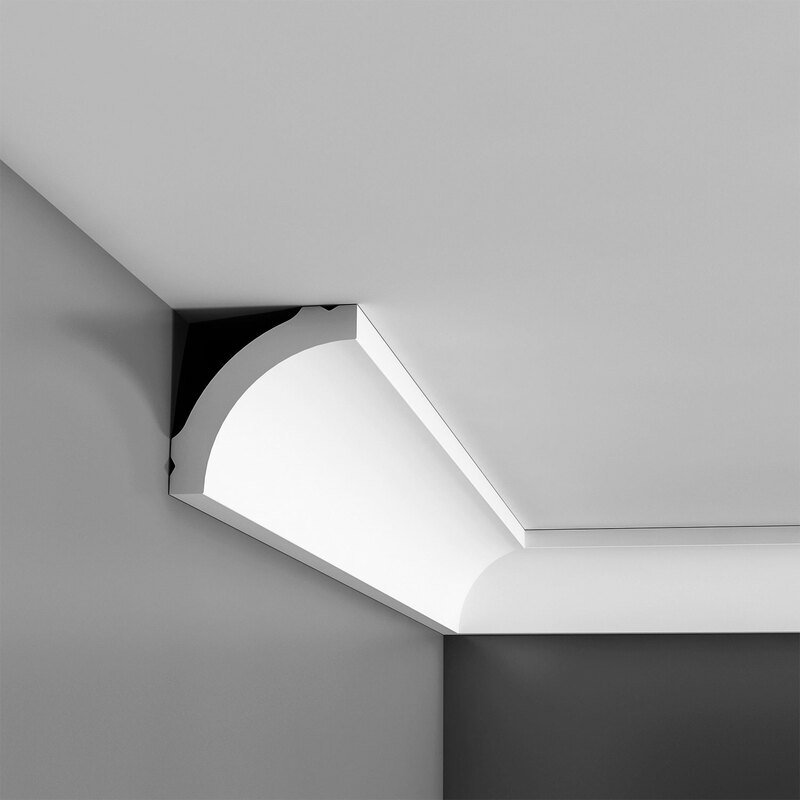 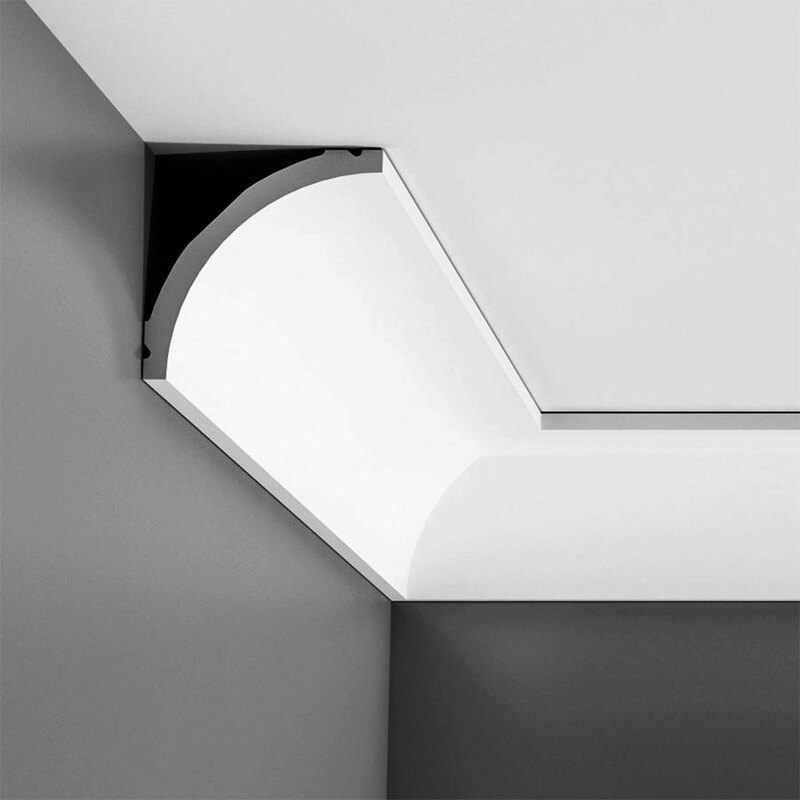 Orac Decor, Polyurethane Indirect Lighting Crown Moulding, Primed White Width: 3-3/4", Length: 78-3/4"
Orac Decor, Polyurethane Indirect Lighting Crown Moulding, Primed White Width: 6-1/8", Length: 78-3/4"
Orac Decor, Polyurethane Indirect Lighting Crown Moulding, Primed White Width: 7-1/4", Length: 78-3/4"
Orac Decor, Duropolymer Crown Moulding, Primed White Width: 1-3/8", Length: 78-3/4"
Orac Decor, Duropolymer Crown Moulding, Primed White Width: 1", Length: 78-3/4"
Orac Decor, Duropolymer Baseboard Moulding, Primed White Width: 3", Length: 78-3/4"
Orac Decor, Duropolymer Crown Moulding, Primed White. Face: 1-5/8", Length: 78-3/4"
Orac Decor, Polyurethane Crown Moulding, Primed White. Face: 7/8", Length: 78-3/4"
Orac Decor, Polyurethane Crown Moulding, Primed White. 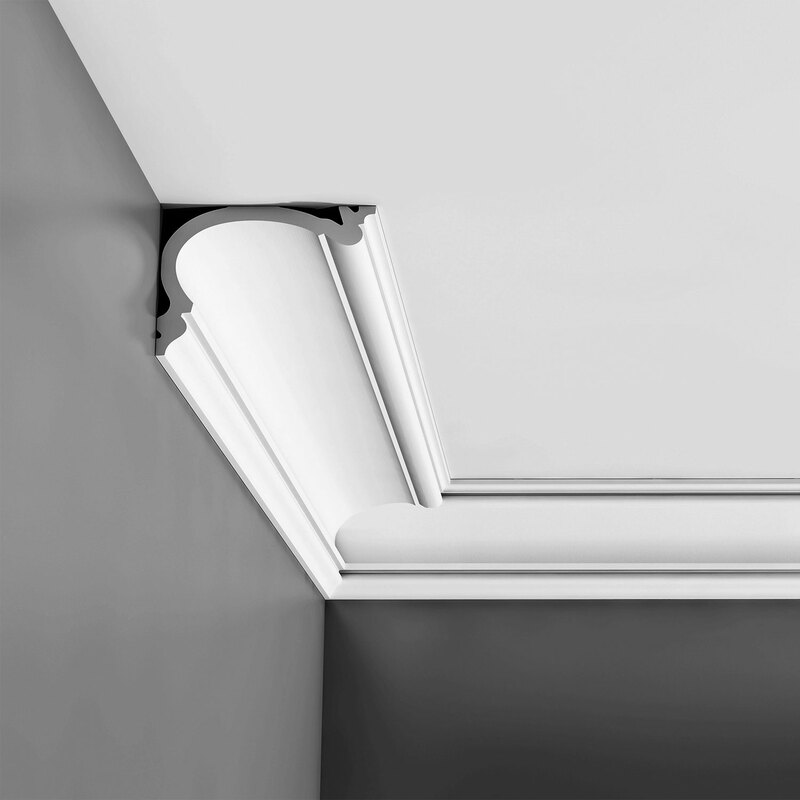 Face: 3-7/8", Length: 78-3/4"
Orac Decor, Duropolymer Crown Moulding, Primed White. 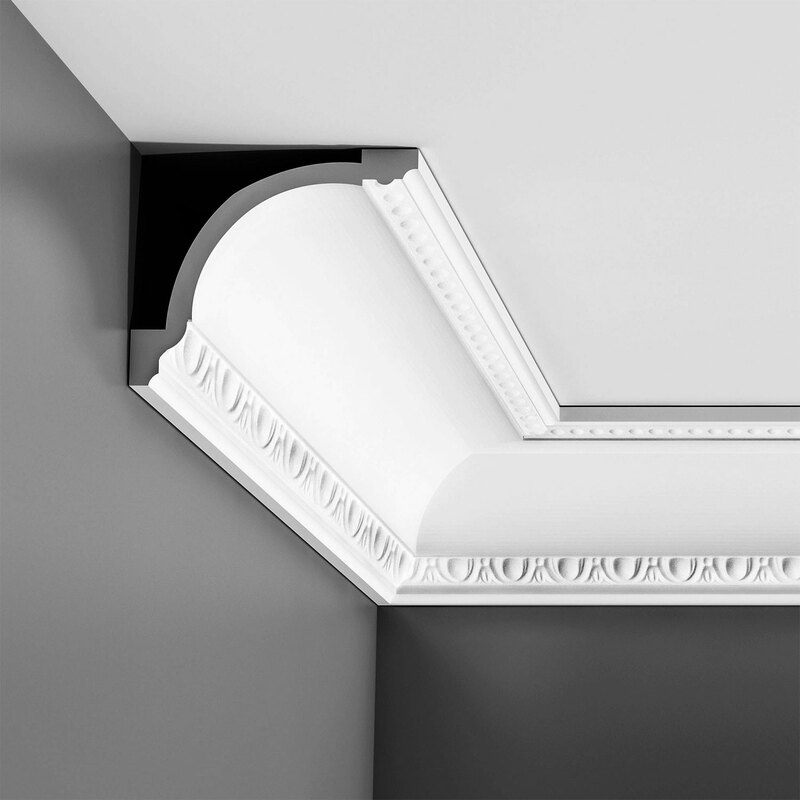 Face: 1-1/8", Length: 96"
Orac Decor, Duropolymer Crown Moulding, Primed White. 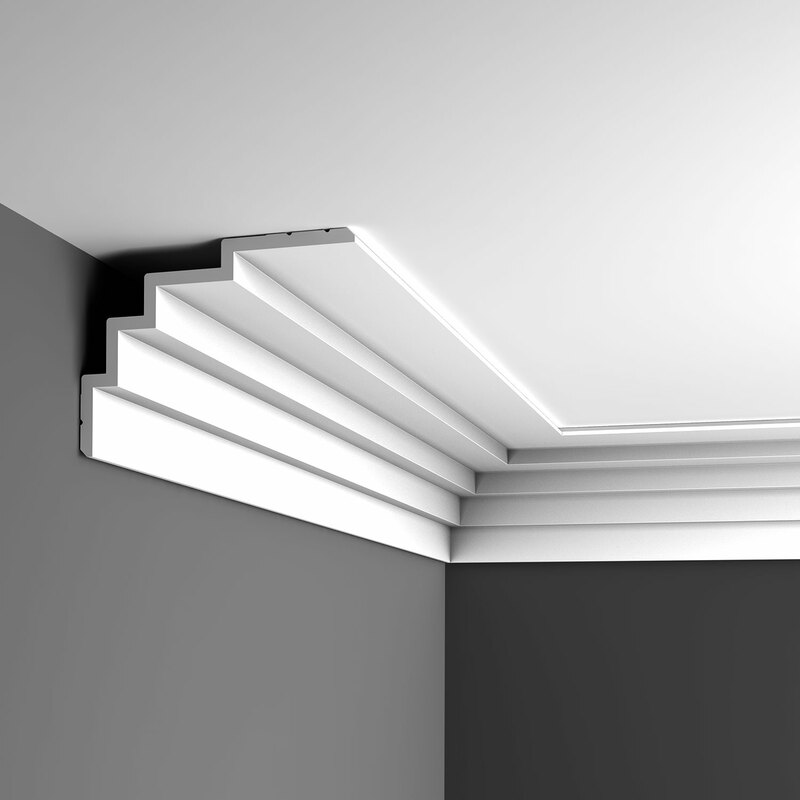 Face: 3/4", Length: 78-3/4"
Orac Decor, Polyurethane Crown Moulding, Primed White. Width:2-3/8" x 7/8", Length: 78-3/4"
Orac Decor, Durofoam Crown Moulding, Primed White. 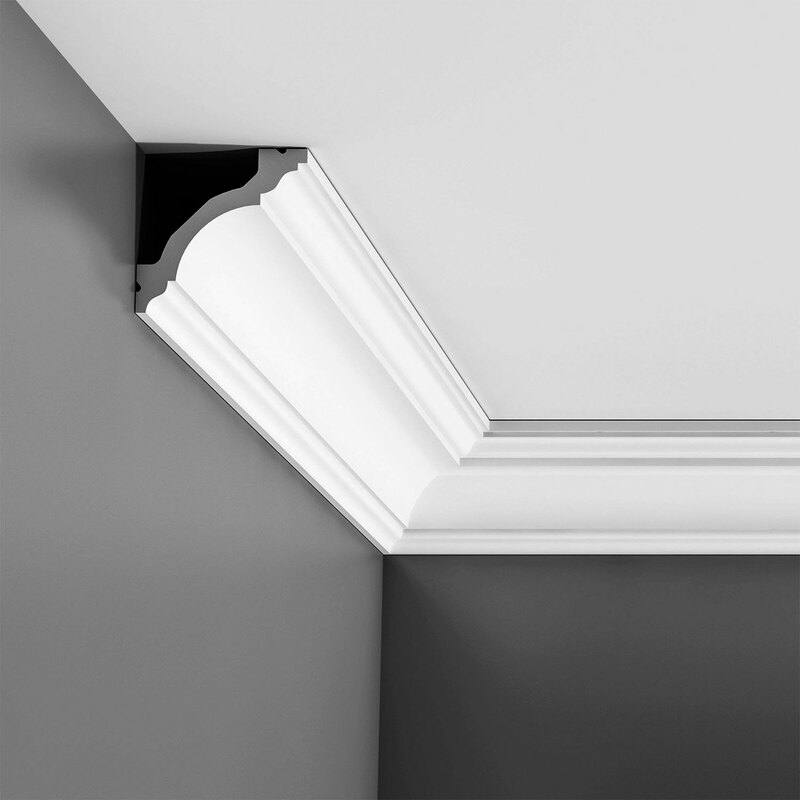 Face: 1-1/8", Length: 78-3/4"
Orac Decor, Duropolymer Crown Moulding, Primed White. 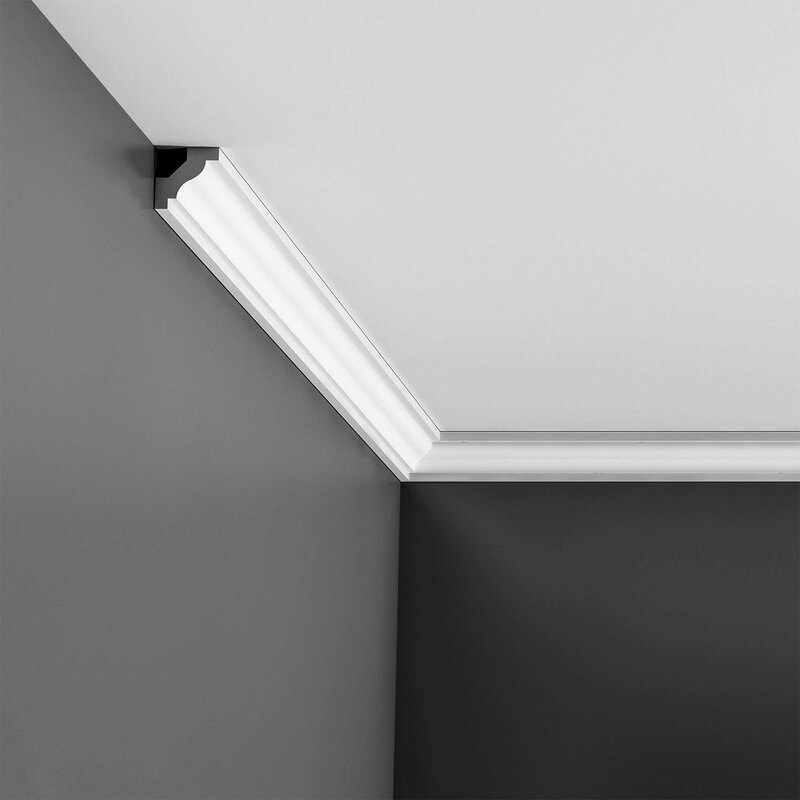 Face: 1-1/8", Length: 78-3/4"
Orac Decor, Polyurethane Crown Moulding, Primed White. Face: 1-5/8", Length: 78-3/4"
Orac Decor, Polyurethane Crown Moulding, Primed White. 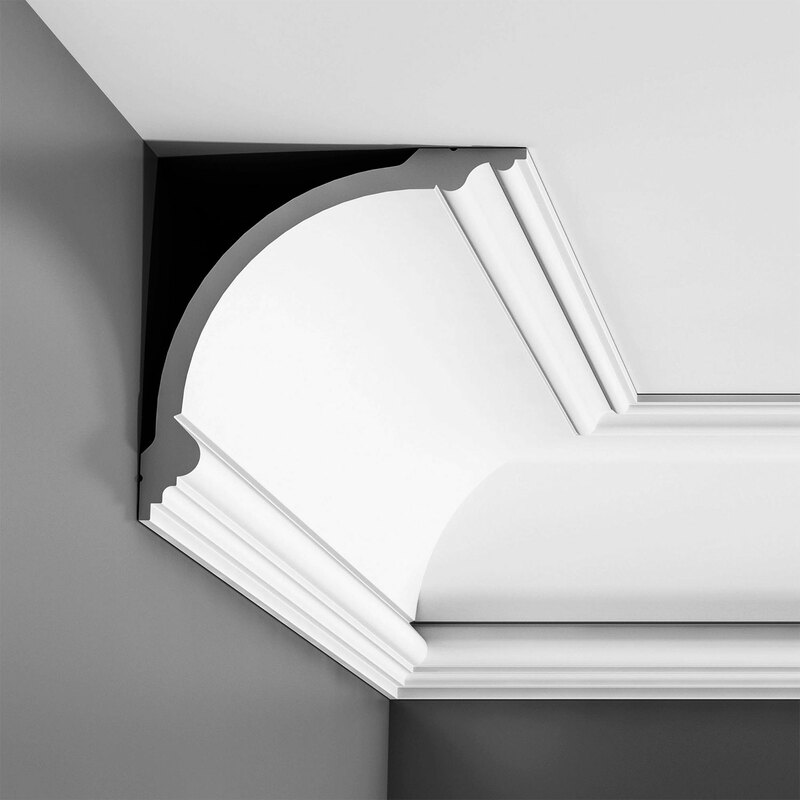 Face: 6-1/2", Length: 78-3/4"
Orac Decor, Duropolymer Crown Moulding, Primed White. 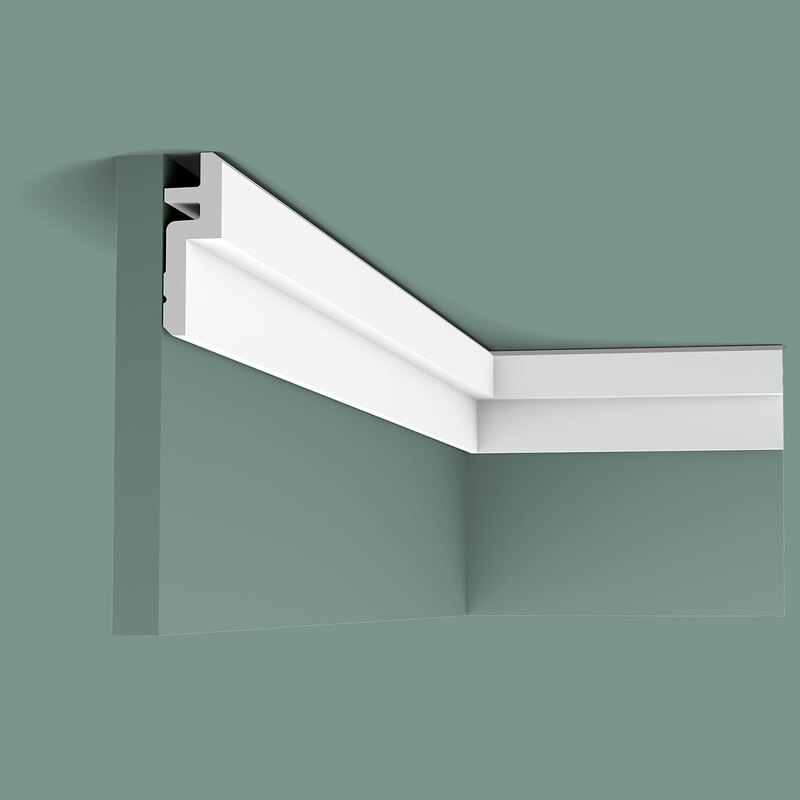 Face: 1-1/2", Length: 96"
Orac Decor, Duropolymer Panel/Crown Moulding, Primed White. 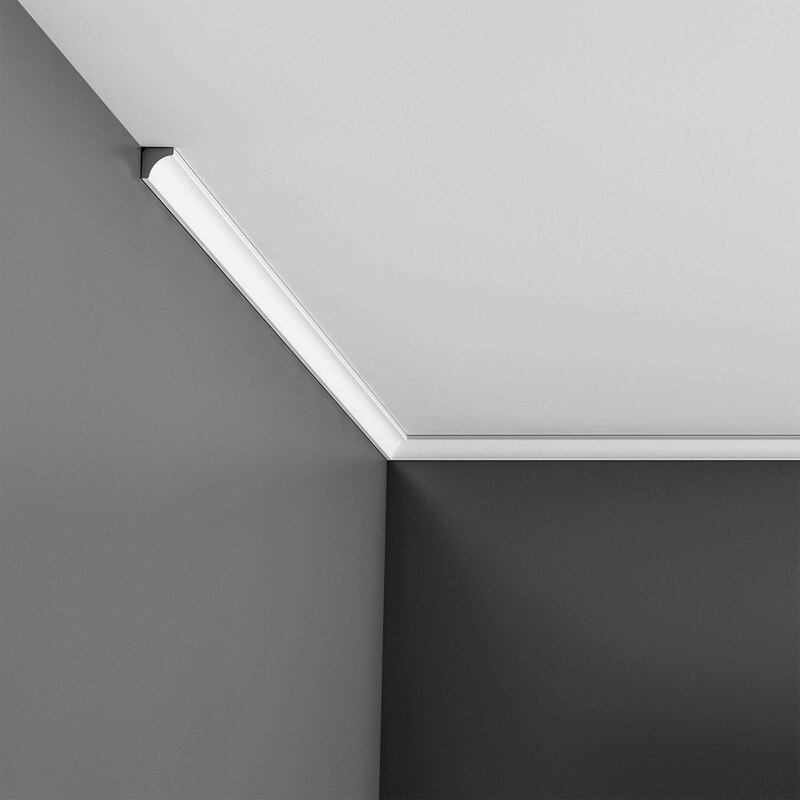 Face: 1-1/2", Length: 96"
Orac Decor, Polyurethane Crown Moulding, Primed White. 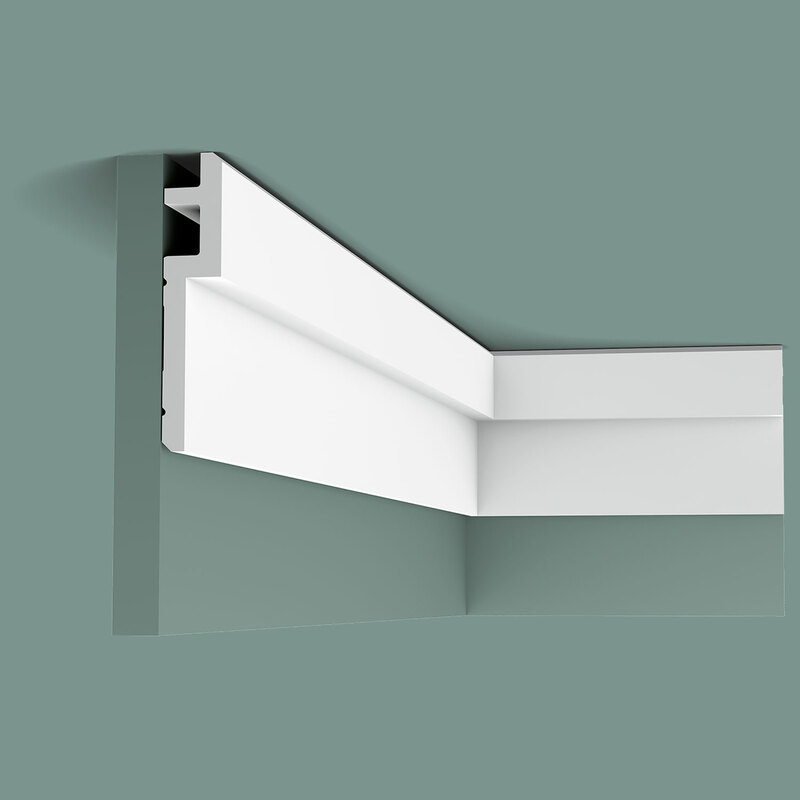 Width: 2-3/8" x 7/8", Length: 78-3/4"
Orac Decor, Durofoam Crown Moulding, Primed White. Face: 2", Length: 78-3/4"
Orac Decor, Polyurethane Crown Moulding, Primed White. Face: 2-3/8", Length: 78-3/4"
Orac Decor, Polyurethane Crown Moulding, Primed White. Face: 8-1/2", Length: 78-3/4"
Orac Decor, Durofoam Crown Moulding, Primed White. Face: 2-1/8", Length: 78-3/4"
Orac Decor, Durofoam Crown Moulding, Primed White. 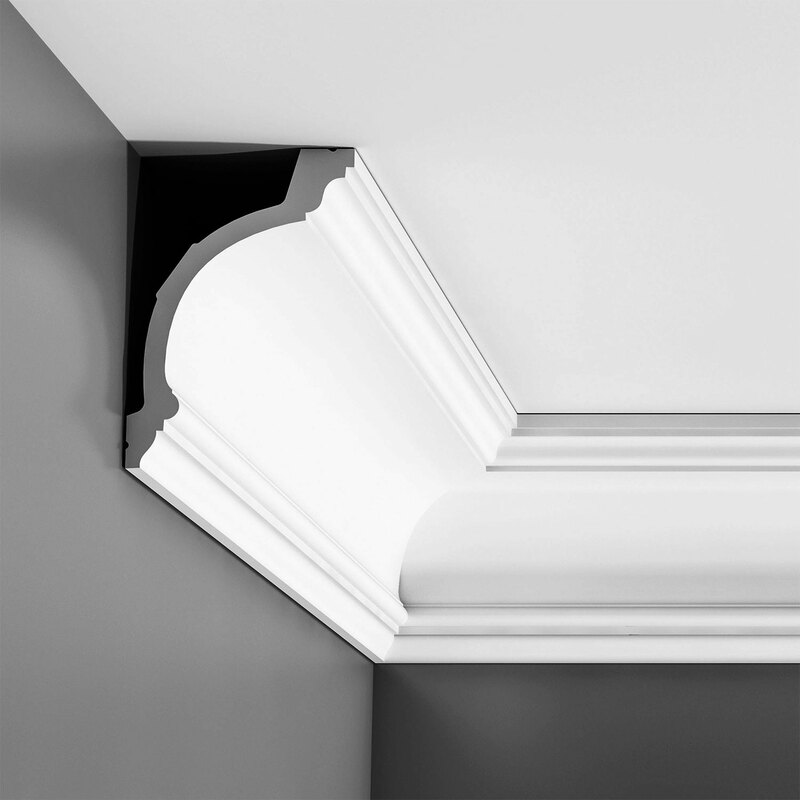 Face: 2-1/4", Length: 78-3/4"
Orac Decor, Duropolymer Crown Moulding, Primed White. 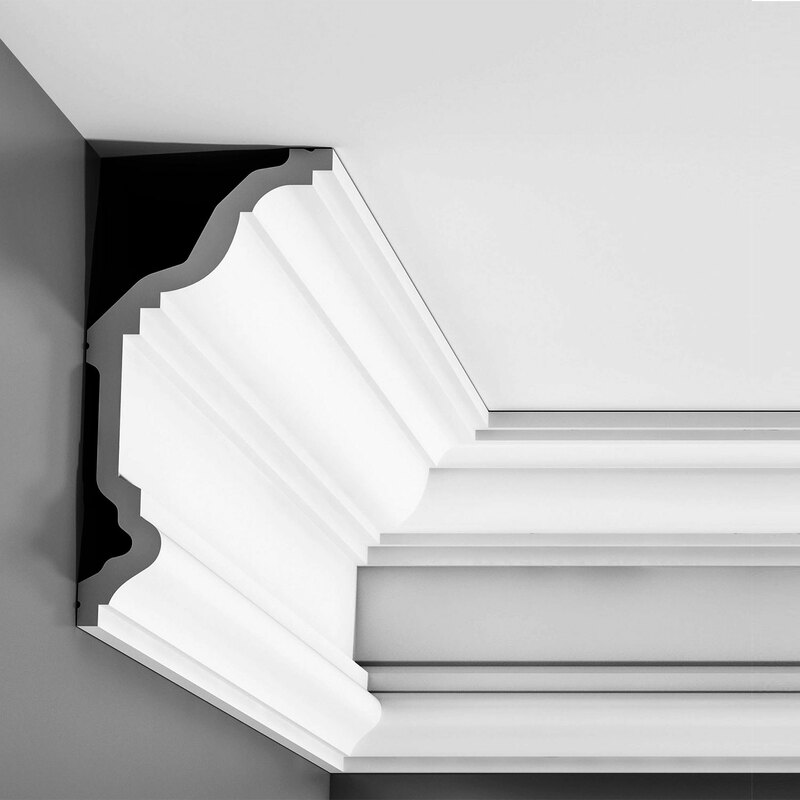 Face: 1-3/4", Length: 78-3/4"
Orac Decor, Duropolymer Crown Moulding Sample, Primed White. 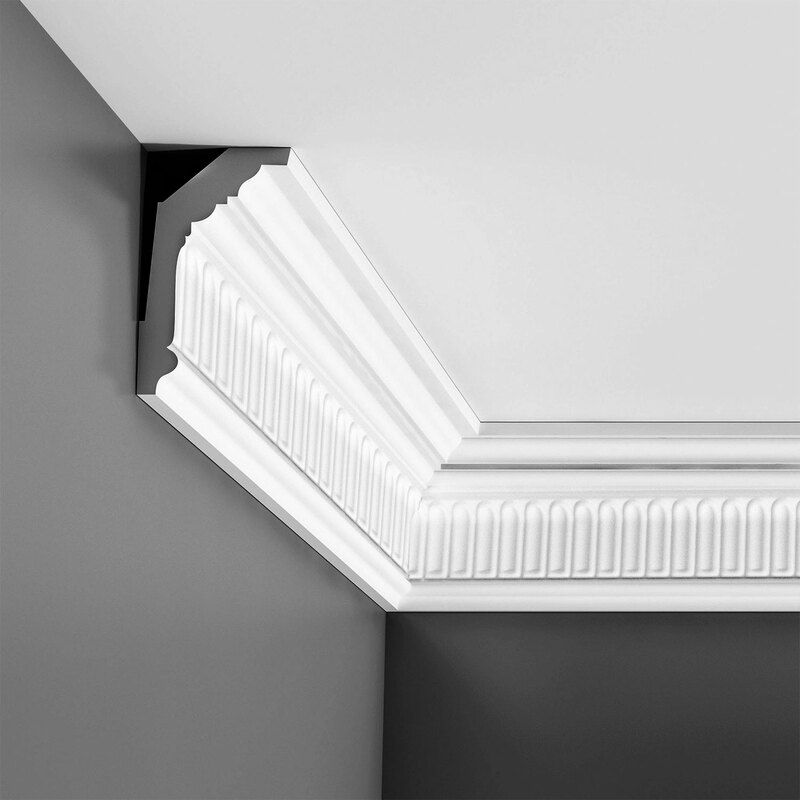 Face: 1-3/4", Length: 4"
Orac Decor, Duropolymer Crown Moulding, Primed White. 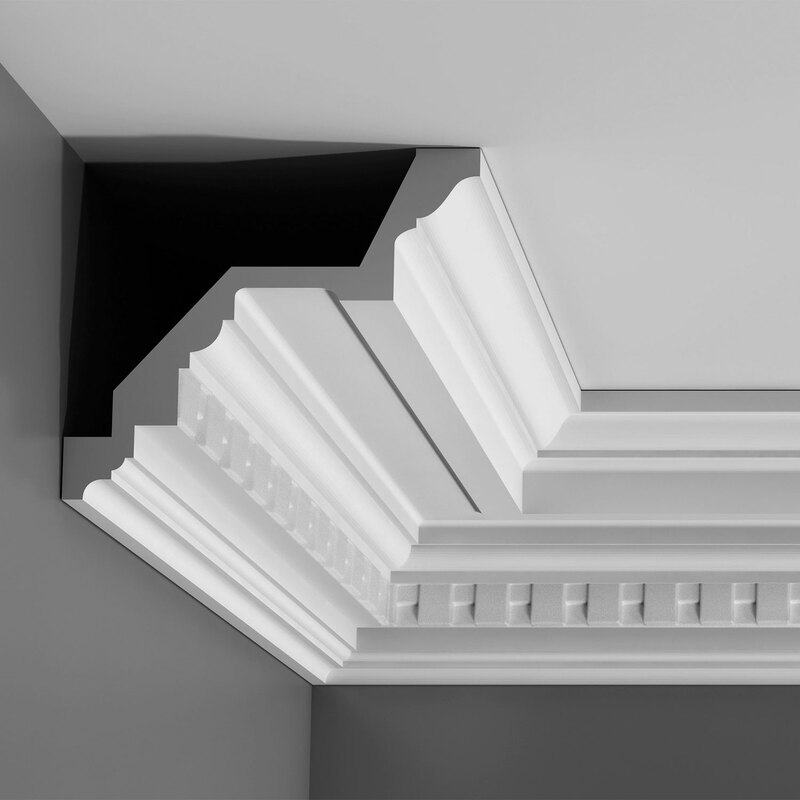 Face: 2", Length: 78-3/4"
Orac Decor, Duropolymer Crown Moulding Sample, Primed White. Face: 2", Length: 4"
Orac Decor, Polyurethane Crown Moulding, Primed White. Face: 2-5/8", Length: 78-3/4"
Orac Decor, Polyurethane Crown Moulding, Primed White. 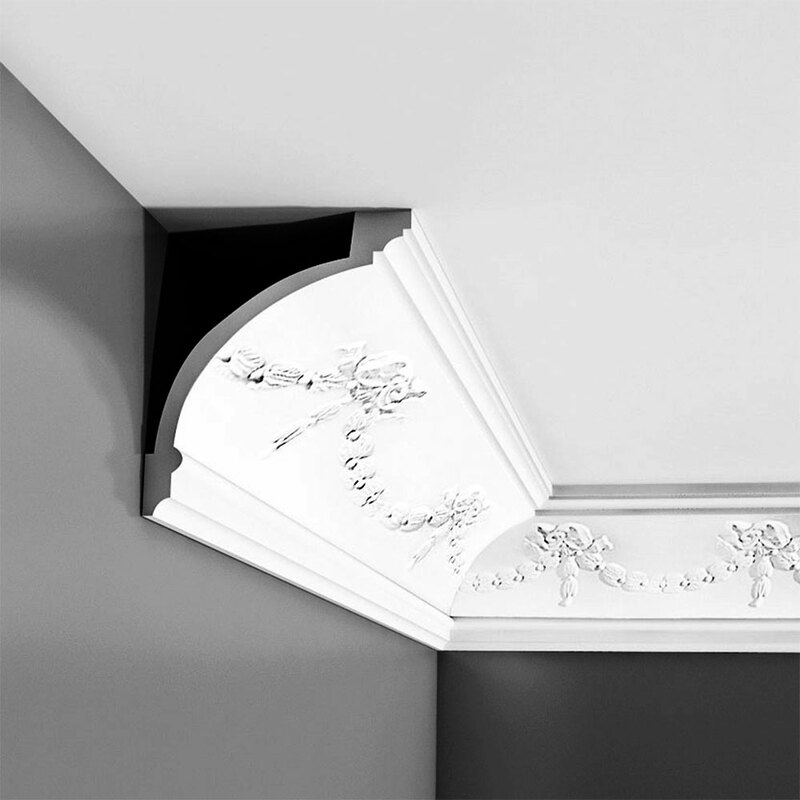 Width: 6-1/4", Face:2-3/16", Length: 78-3/4"
Orac Decor, Duropolymer Crown Moulding, Primed White. Face: 2-5/8", Length: 78-3/4"
Orac Decor, Durofoam Crown Moulding, Primed White. 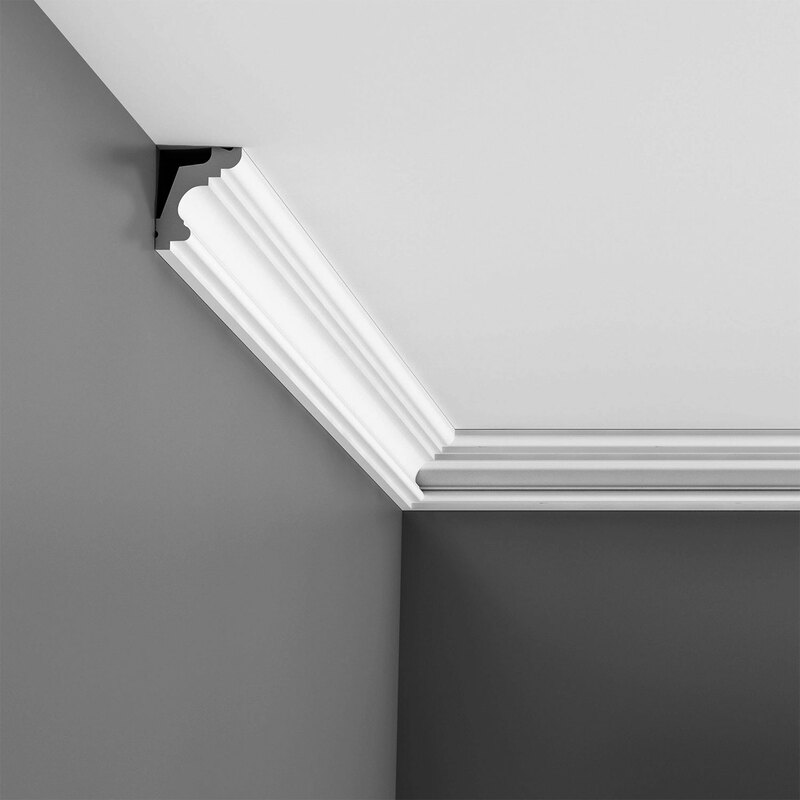 Face: 2-3/4", Length: 78-3/4"
Orac Decor, Polyurethane Crown Moulding, Primed White. 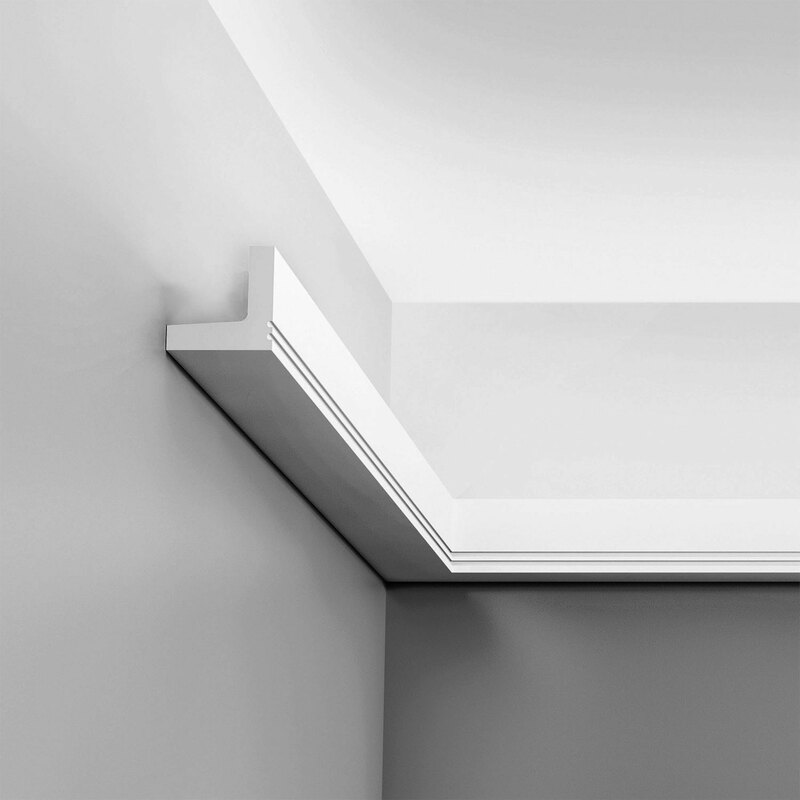 Face: 2", Length: 78-3/4"
Orac Decor, Polyurethane Crown Moulding, Primed White. 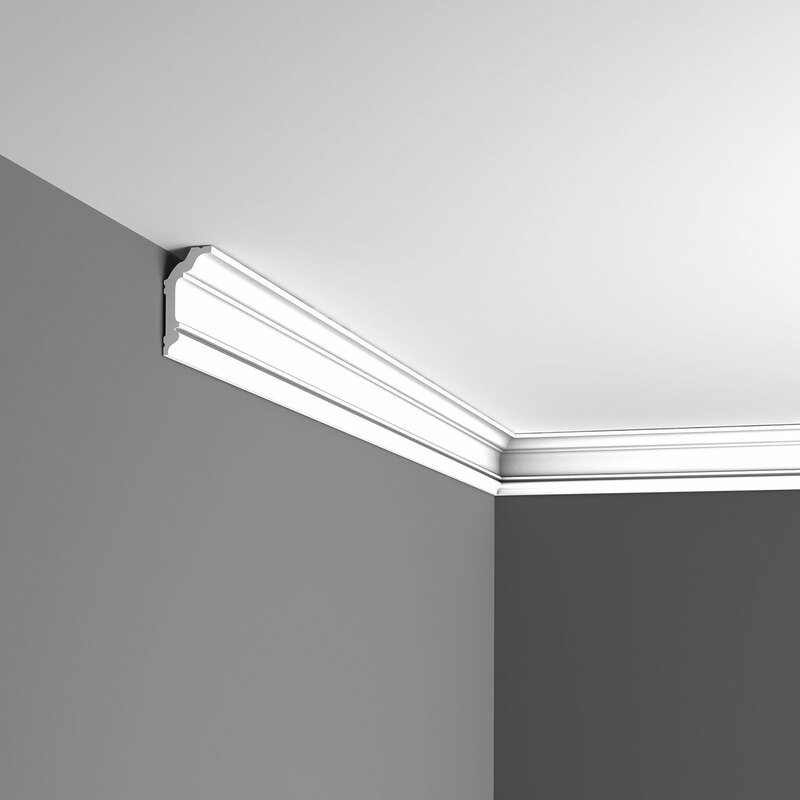 Face: 3-3/4", Length: 78-3/4"
Orac Decor, Polyurethane Crown Moulding, Primed White. 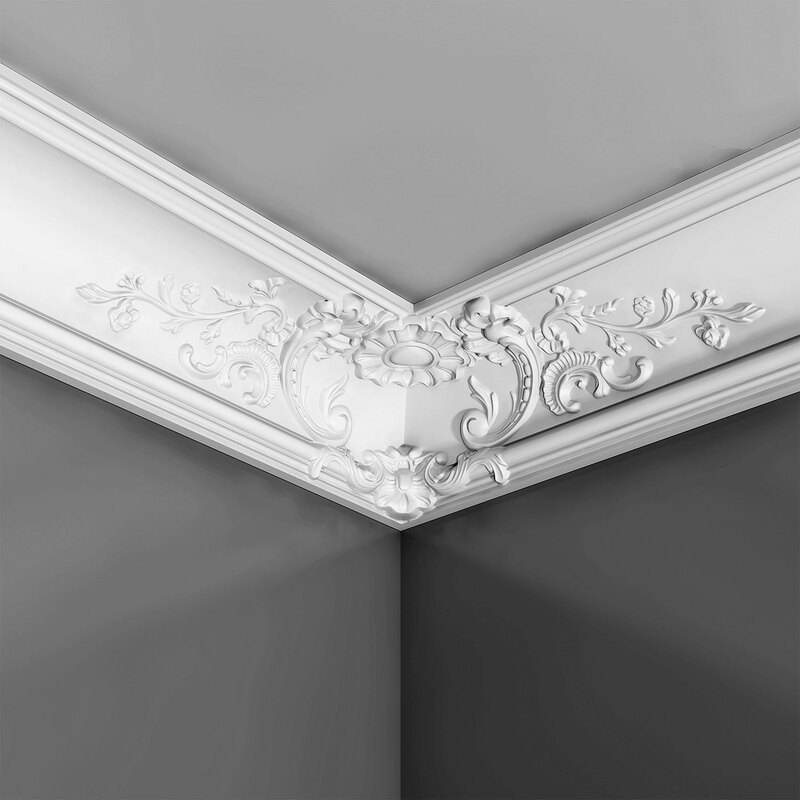 Face: 5", Length: 78-3/4"
Orac Decor, Duropolymer Crown Moulding, Primed White. 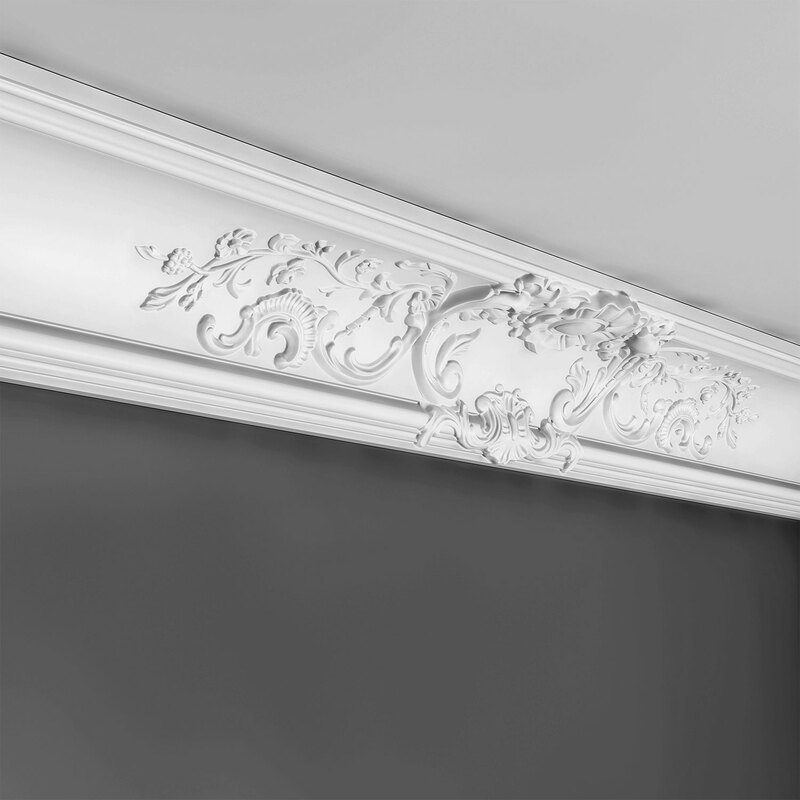 Height: 2", Length: 90"
Orac Decor, Duropolymer Crown Moulding, Primed White. 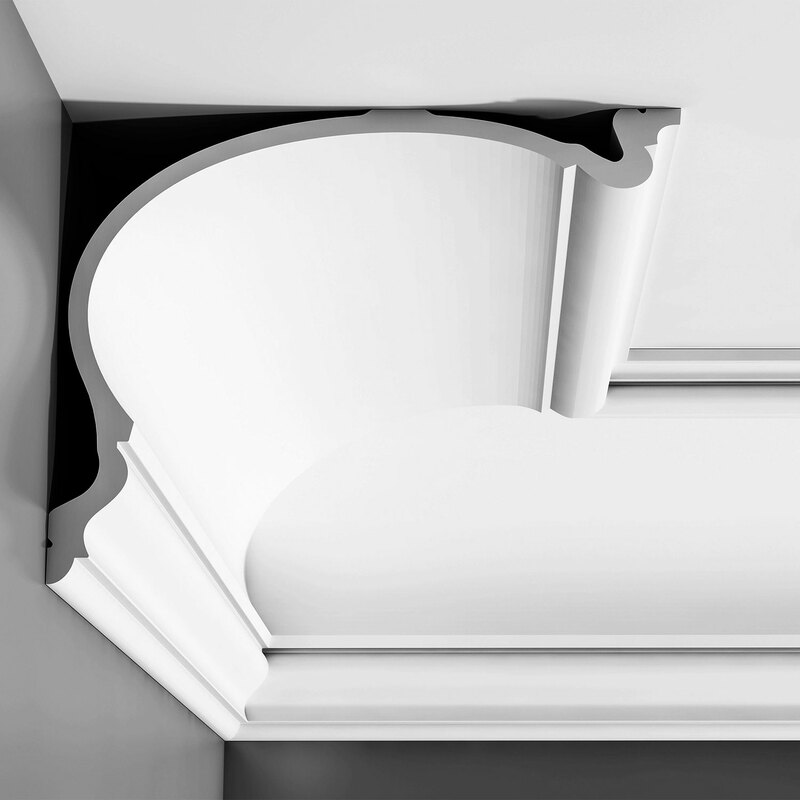 Face: 3", Length: 96"
Orac Decor, Duropolymer Crown Moulding, Primed White. 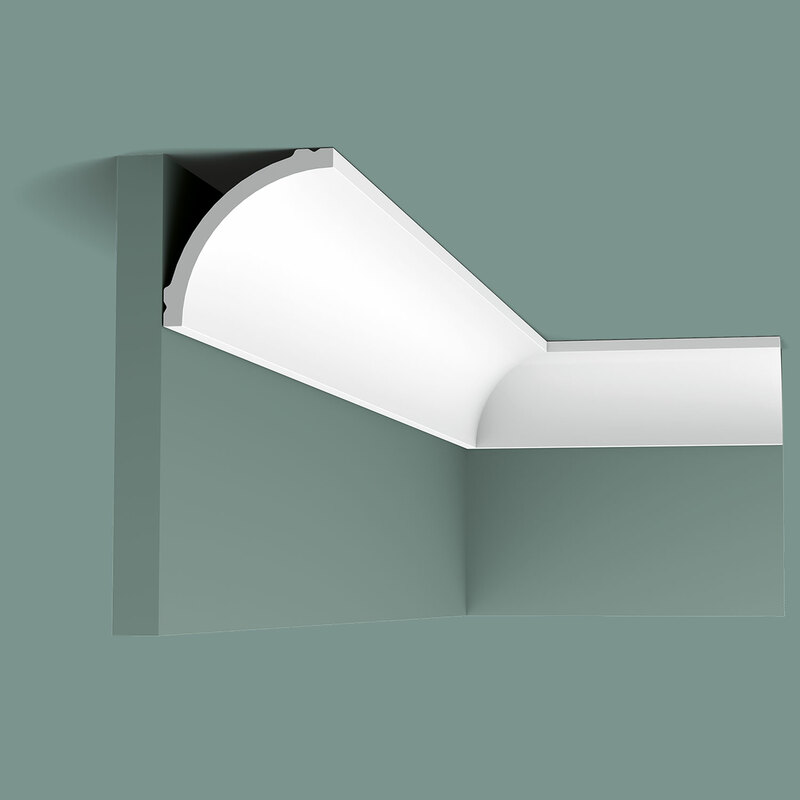 Face: 2-5/8", Length: 96"
Orac Decor, Polyurethane Crown Moulding, Primed White. 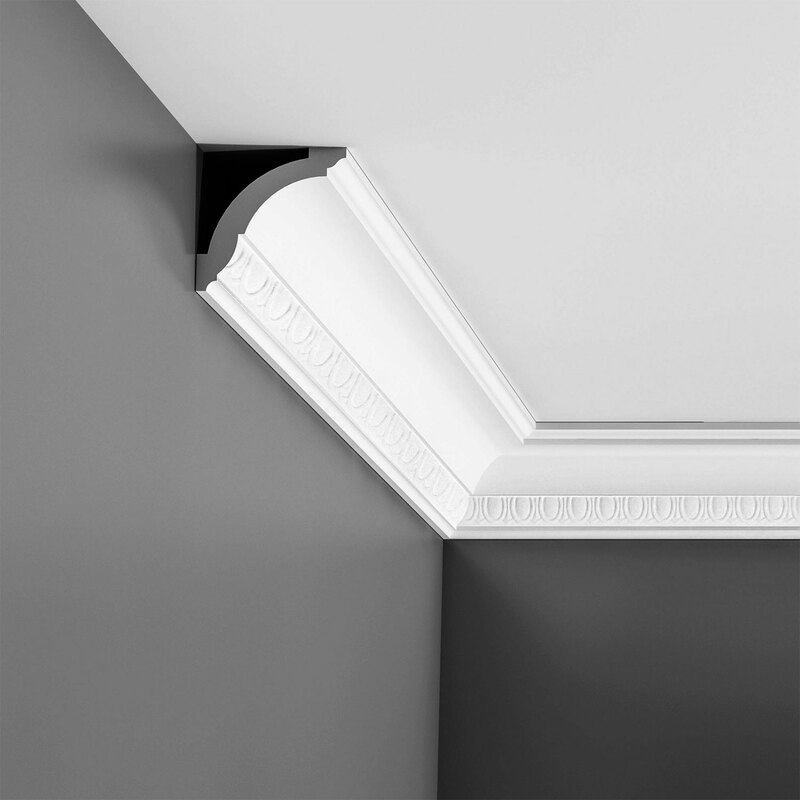 Face: 4-5/8", Length: 78-3/4"
Orac Decor, Durofoam Crown Moulding, Primed White. 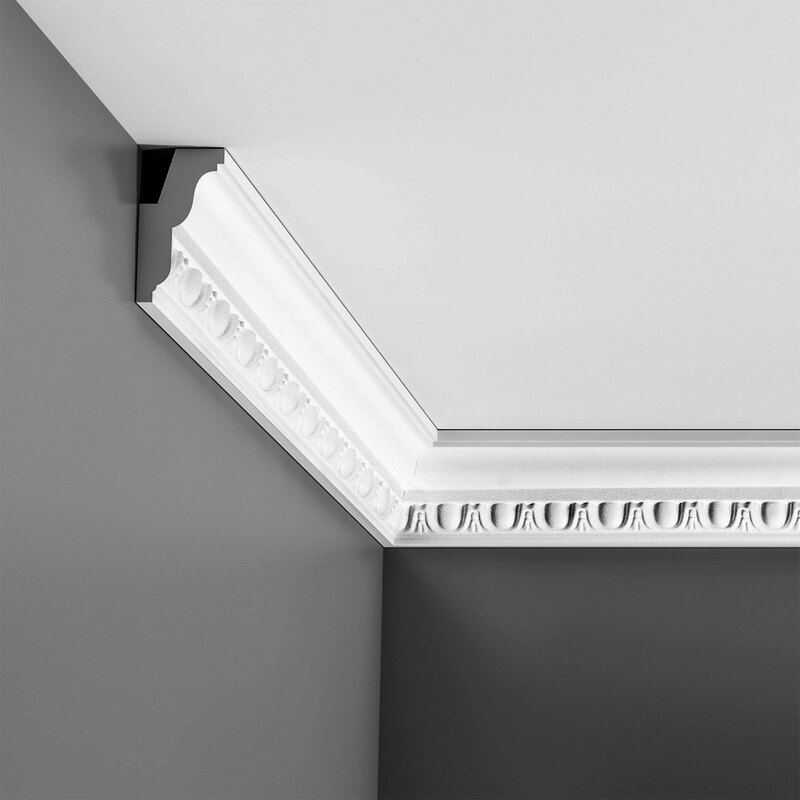 Face: 3-1/8", Length: 78-3/4"
Orac Decor, Durofoam Crown Moulding, Primed White. 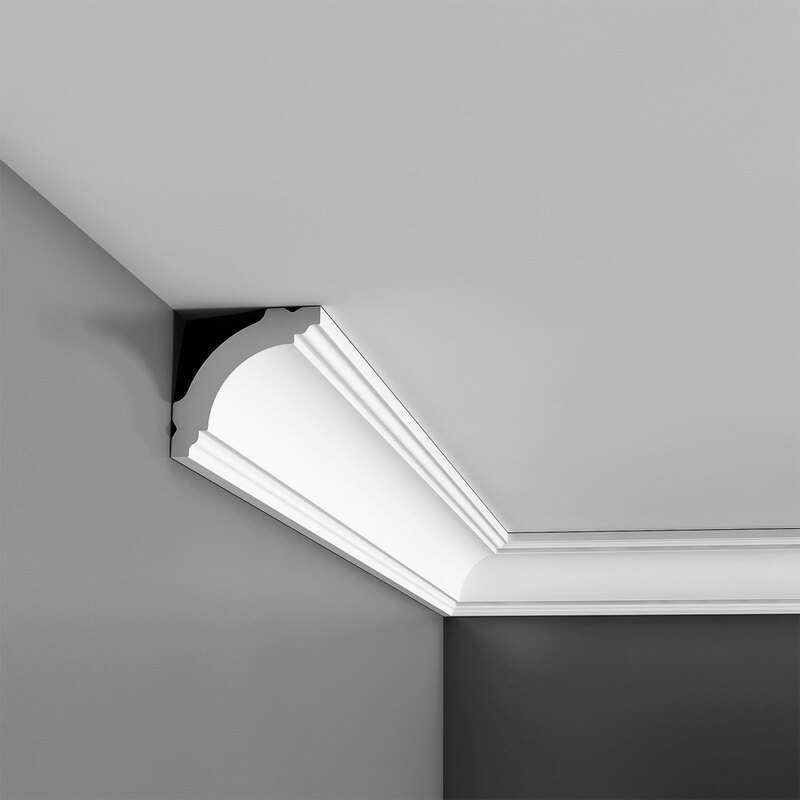 Face: 2-7/8", Length: 78-3/4"
Orac Decor, Polyurethane Crown Moulding, Primed White. Face: 4-1/8", Length: 78-3/4"
Orac Decor, Polyurethane Crown Moulding, Primed White. 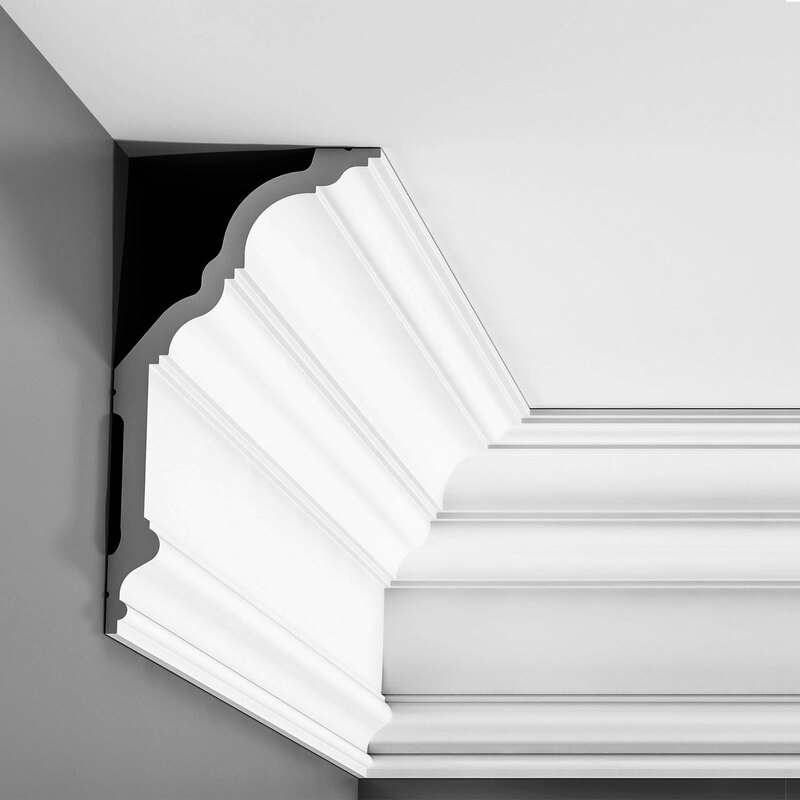 Face: 5-7/8", Length: 78-3/4"
Orac Decor, Duropolymer Crown Moulding, Primed White. 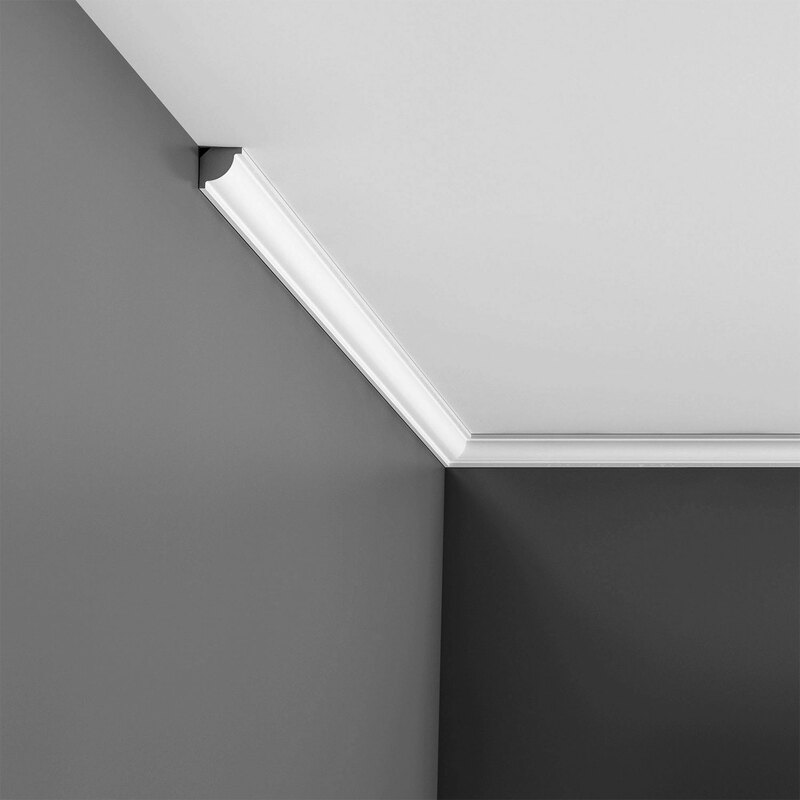 Face: 3-5/8", Length: 78-3/4"
Orac Decor, Polyurethane Crown Moulding, Primed White. 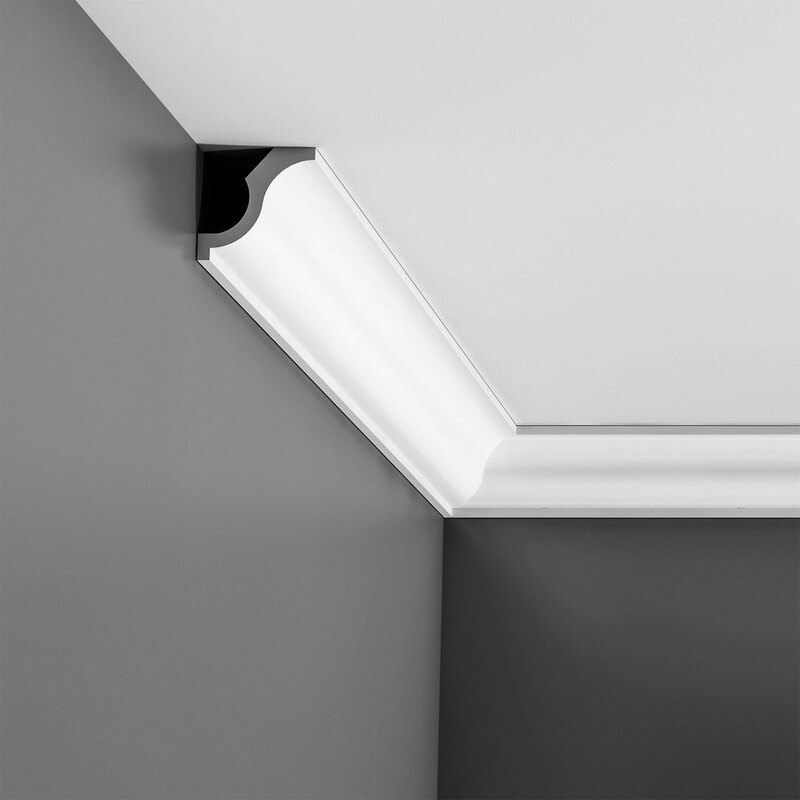 Face: 3-3/8", Length: 78-3/4"
Orac Decor, Polyurethane Crown Moulding, Primed White. Face: 5-3/4", Length: 78-3/4"
Orac Decor, Durofoam Crown Moulding, Primed White Face: 2-1/2", Length: 78-3/4"
Orac Decor, Durofoam Crown Moulding, Primed White. Face: 3-7/8", Length: 78-3/4"
Orac Decor, Duropolymer Crown Moulding, Primed White. Face: 3-3/4", Length: 78-3/4"
Orac Decor, Duropolymer Crown Moulding, Primed White. 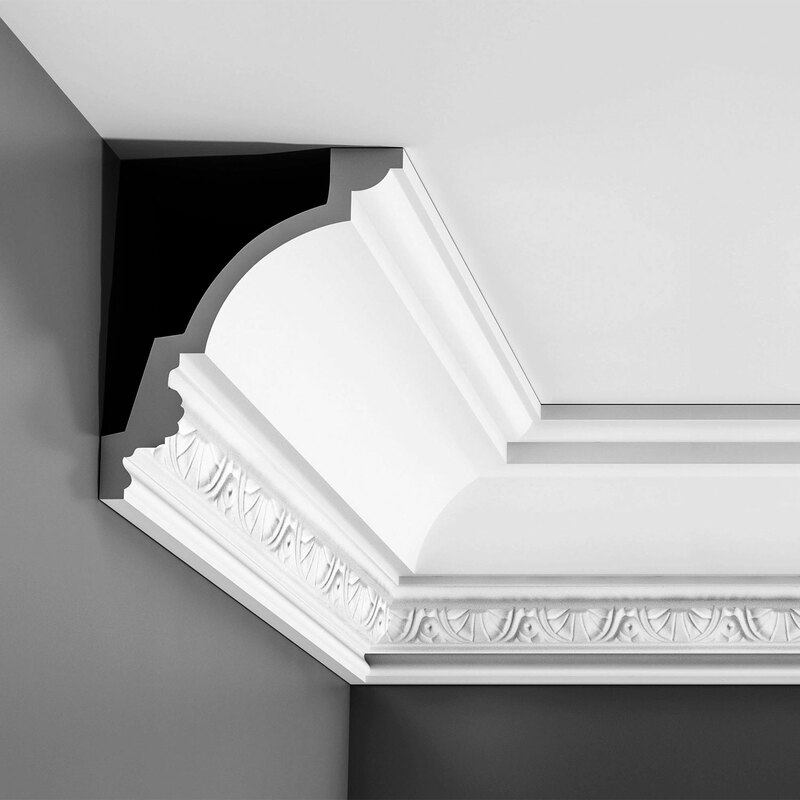 Face: 3-3/4", Length: 96"
Orac Decor, Duropolymer Crown Moulding, Primed White. 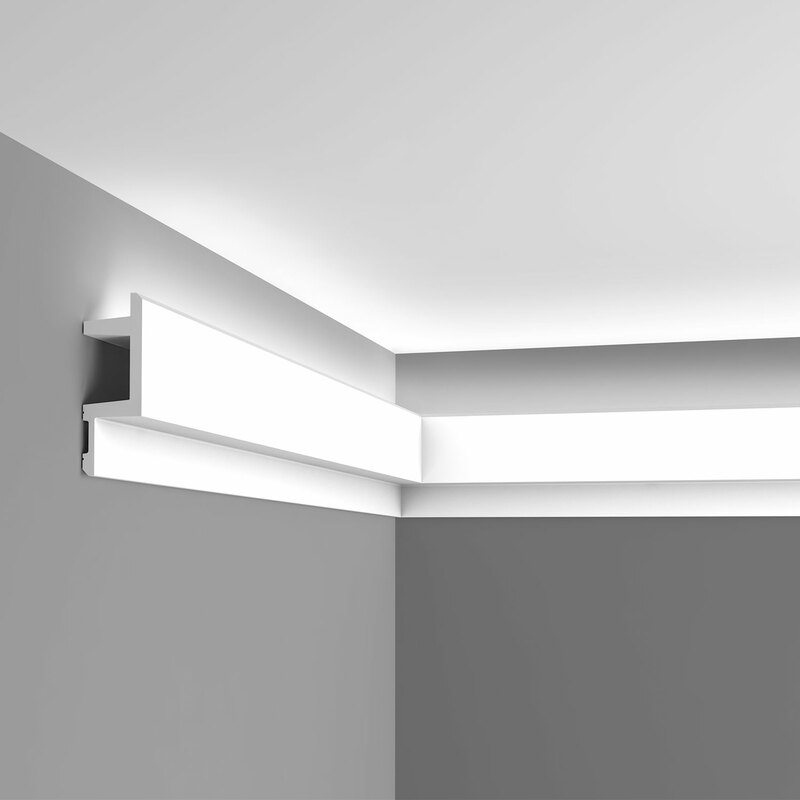 Width: 2-3/4" Height: 1/2" Length: 78-3/4"
Orac Decor, Polyurethane Crown Moulding, Primed White. Face: 3-1/2", Length: 78-3/4"
Orac Decor, Polyurethane Crown Moulding, Primed White. 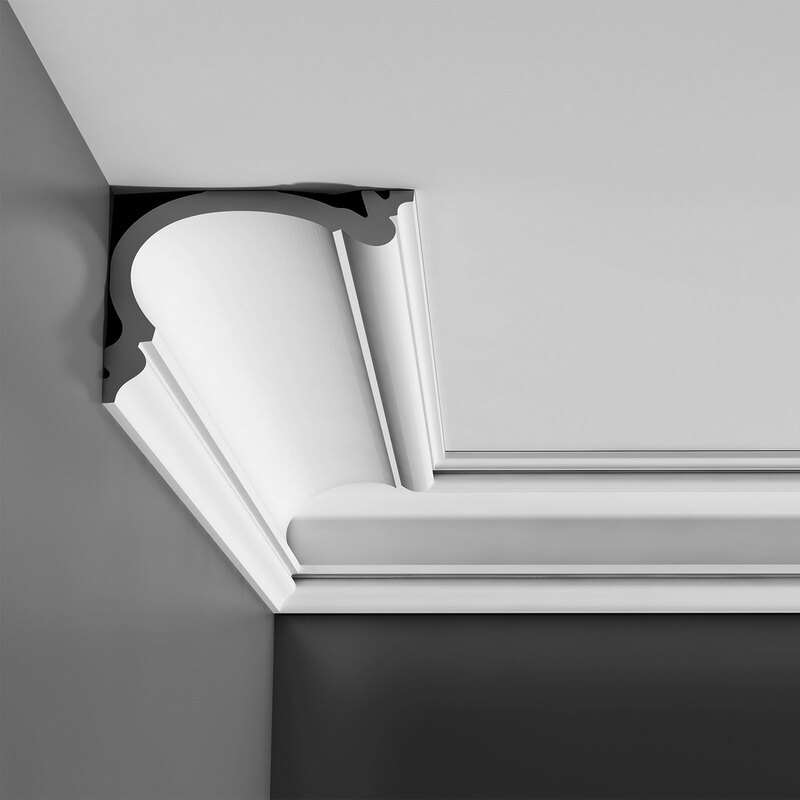 Face: 5-3/8", Length: 78-3/4"
Orac Decor, Duropolymer Crown Moulding, Primed White. 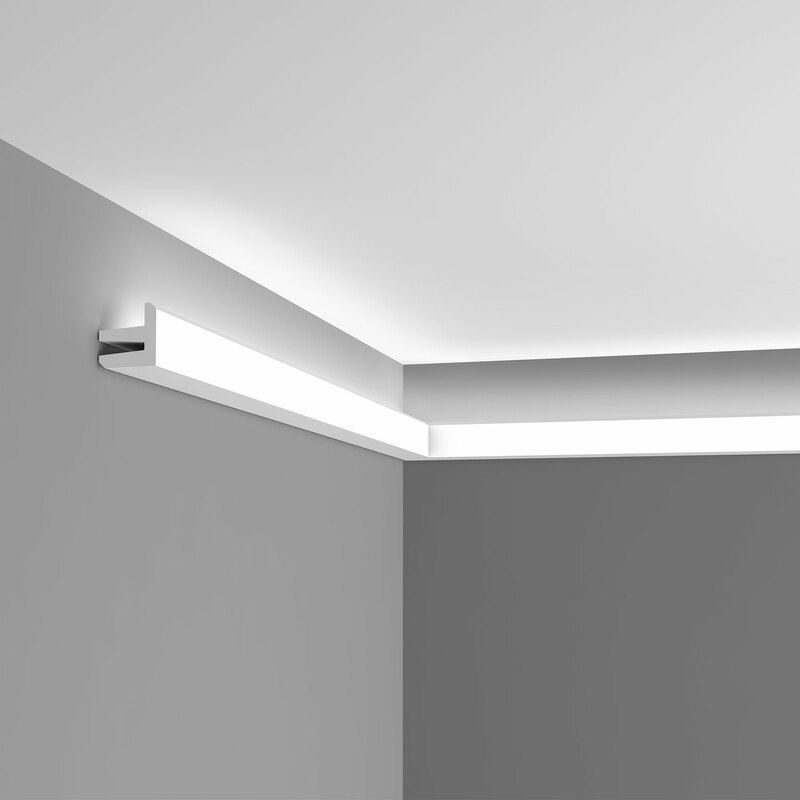 Height: 3", Length: 90"
Orac Decor, Polyurethane Crown Moulding, Primed White. 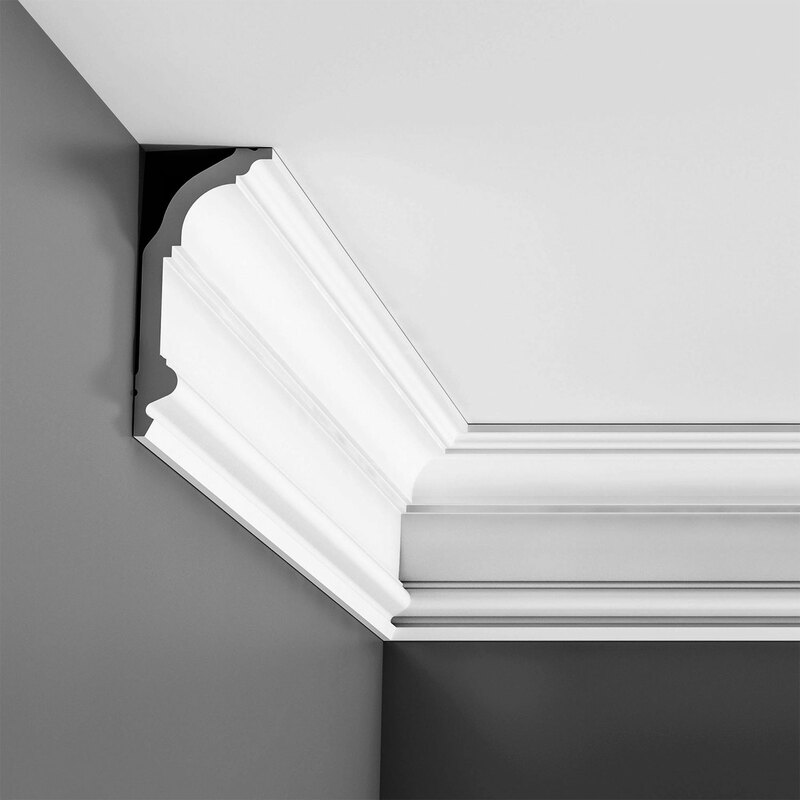 Face: 4-1/2", Length: 78-3/4"
Orac Decor, Duropolymer Crown Moulding, Primed White. 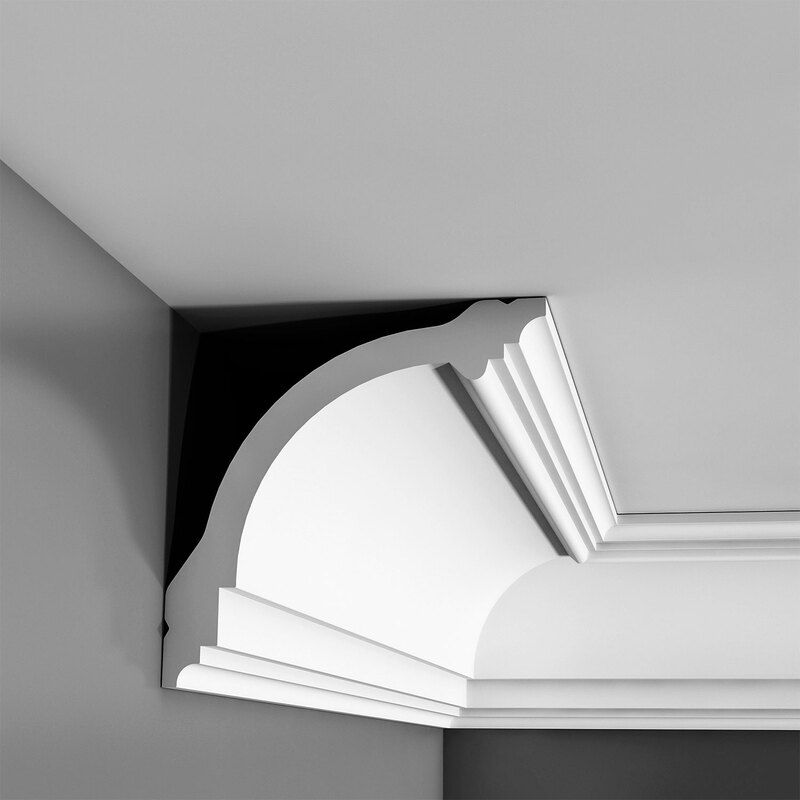 Face: 4-3/8", Length: 78-3/4"
Orac Decor, Duropolymer Crown Moulding, Primed White. 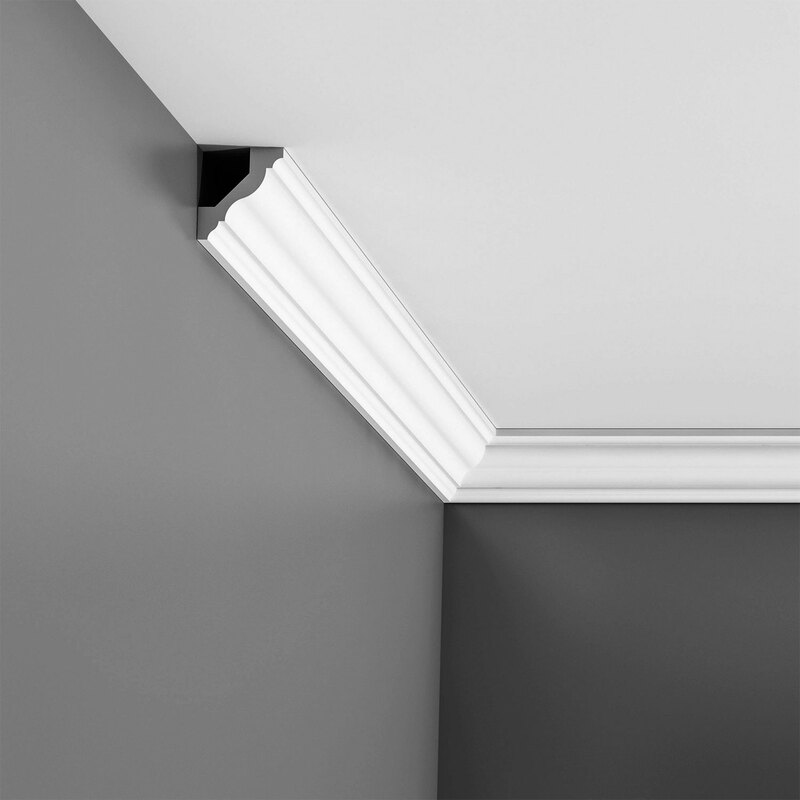 Face: 3-1/2", Length: 78-3/4"
Orac Decor, Durofoam Crown Moulding, Primed White. 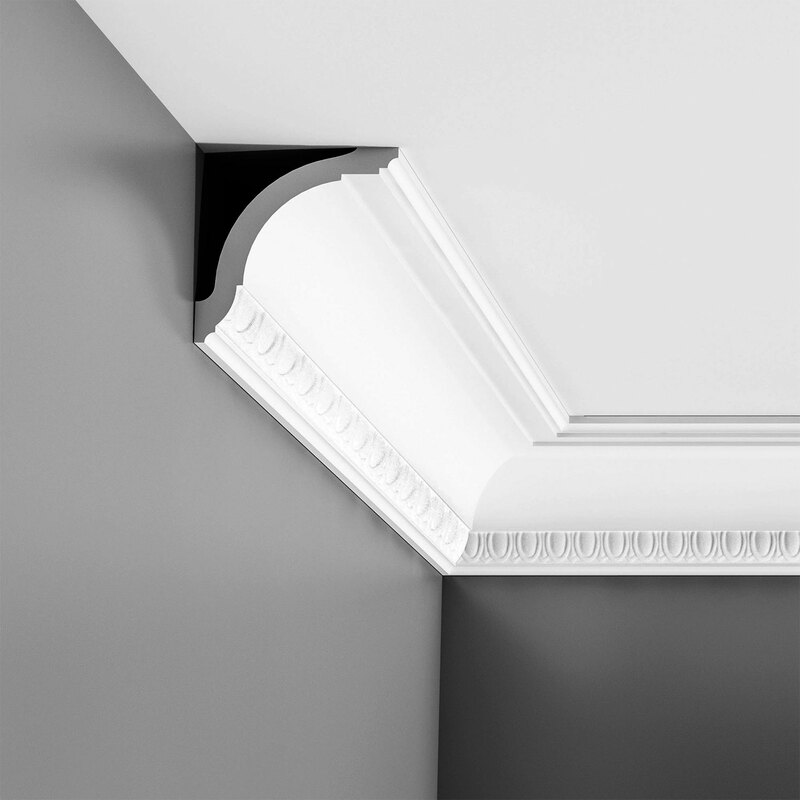 Face: 4-7/8", Length: 78-3/4"
Orac Decor, Duropolymer Crown Moulding, Primed White. 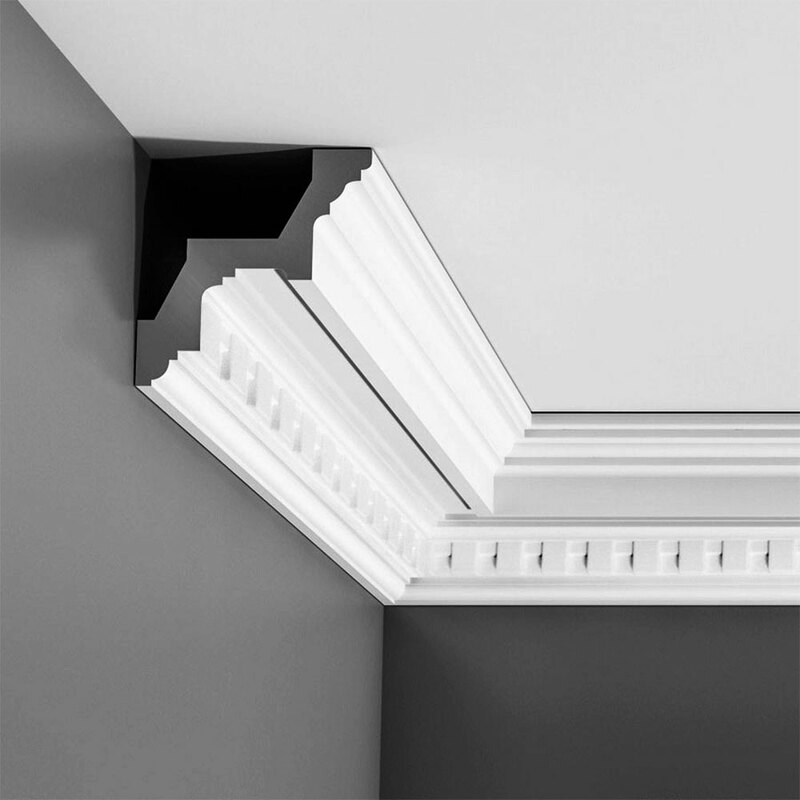 Face: 4-3/4", Length: 78-3/4"
Orac Decor, Durofoam Crown Moulding, Primed White Face: 3-1/2", Length: 78-3/4"
Orac Decor, Duropolymer Crown Moulding, Primed White. 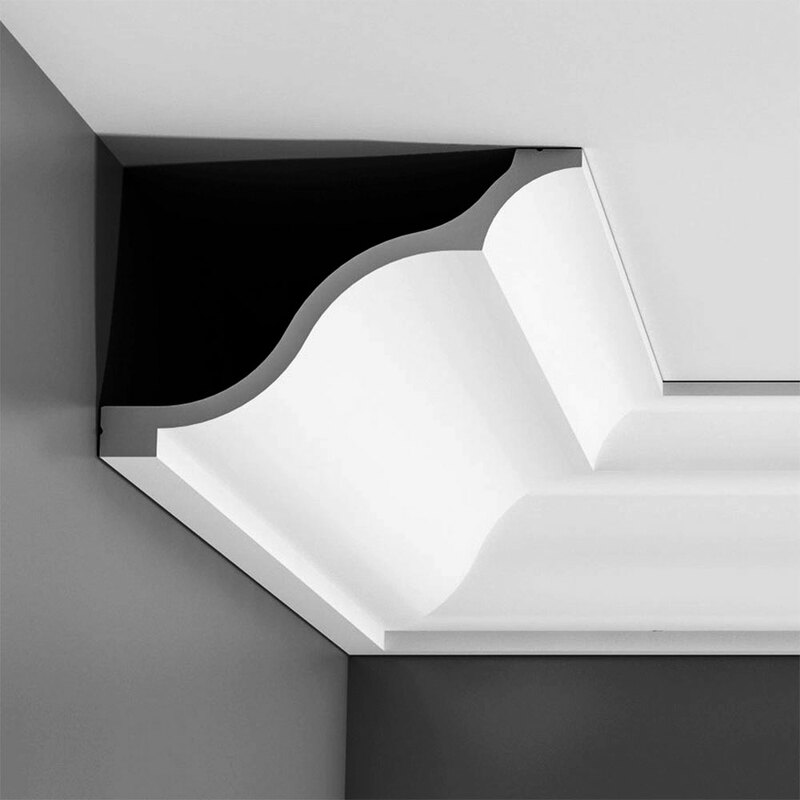 Face: 5-1/8", Length: 78-3/4"
Orac Decor, Duropolymer Multifunctional Moulding, Primed White. Length: 96", Height: 3-3/4"
Orac Decor, Polyurethane Crown Moulding, Primed White. 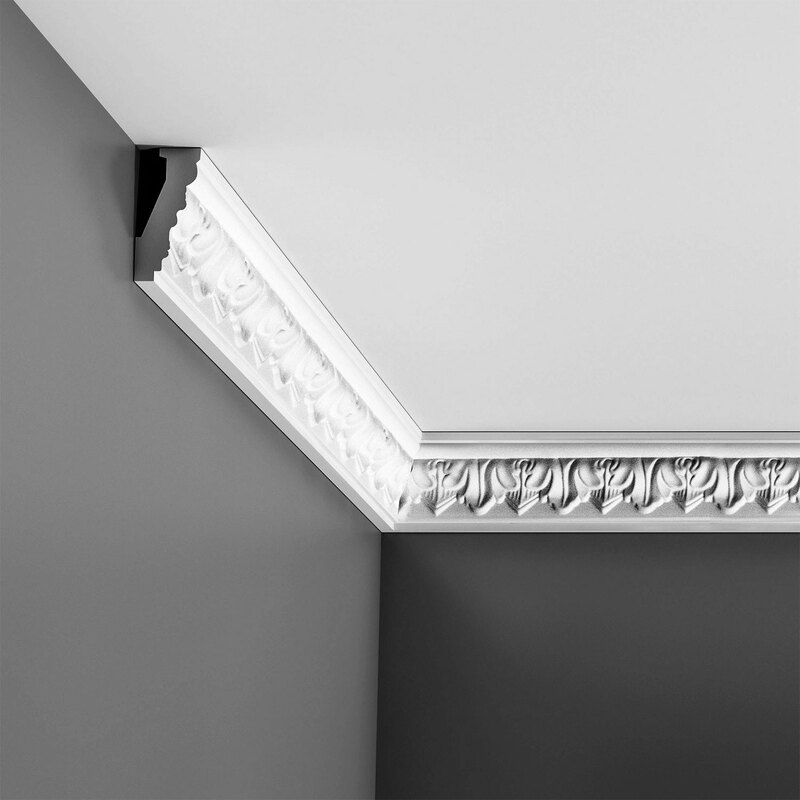 Face: 4-1/4", Length: 78-3/4"
Orac Decor, Durofoam Crown Moulding, Primed White. 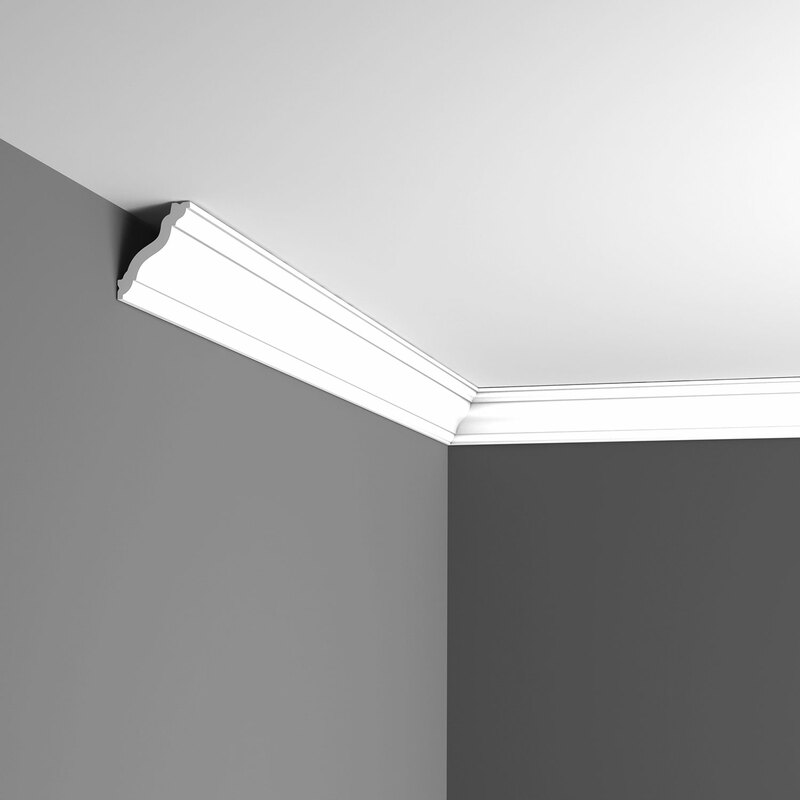 Face: 5-3/8", Length: 78-3/4"
Orac Decor, Polyurethane Crown Moulding, Primed White. 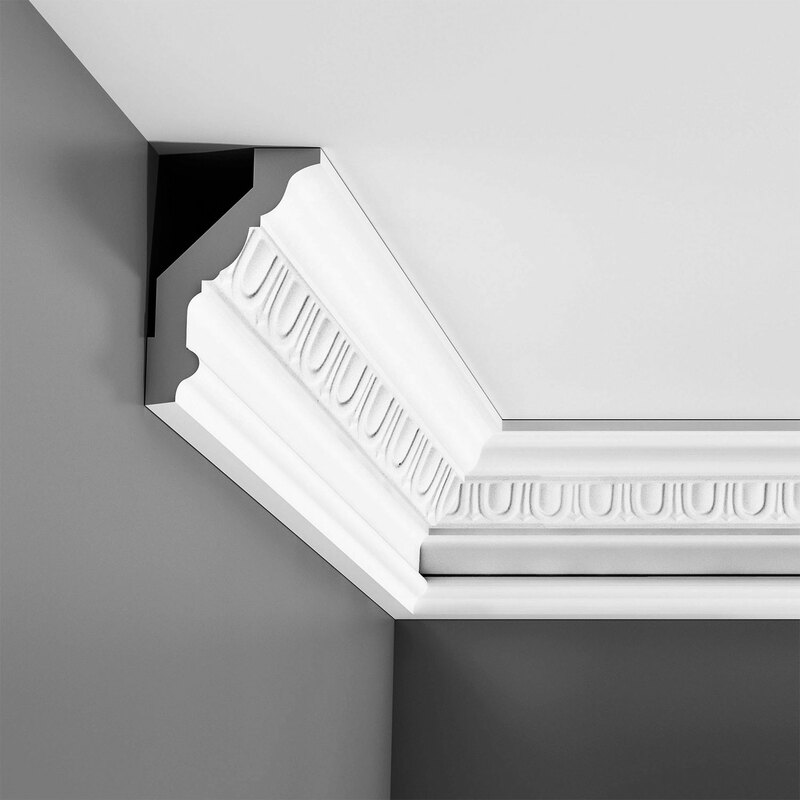 Face: 7-3/4", Length: 78-3/4"
Orac Decor, Duropolymer Crown Moulding, Primed White. 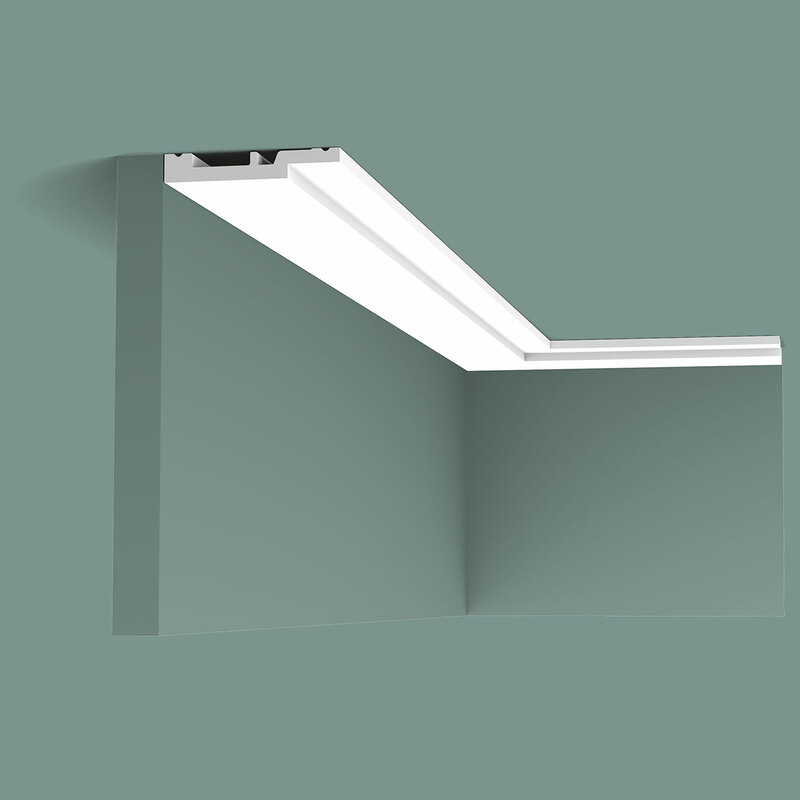 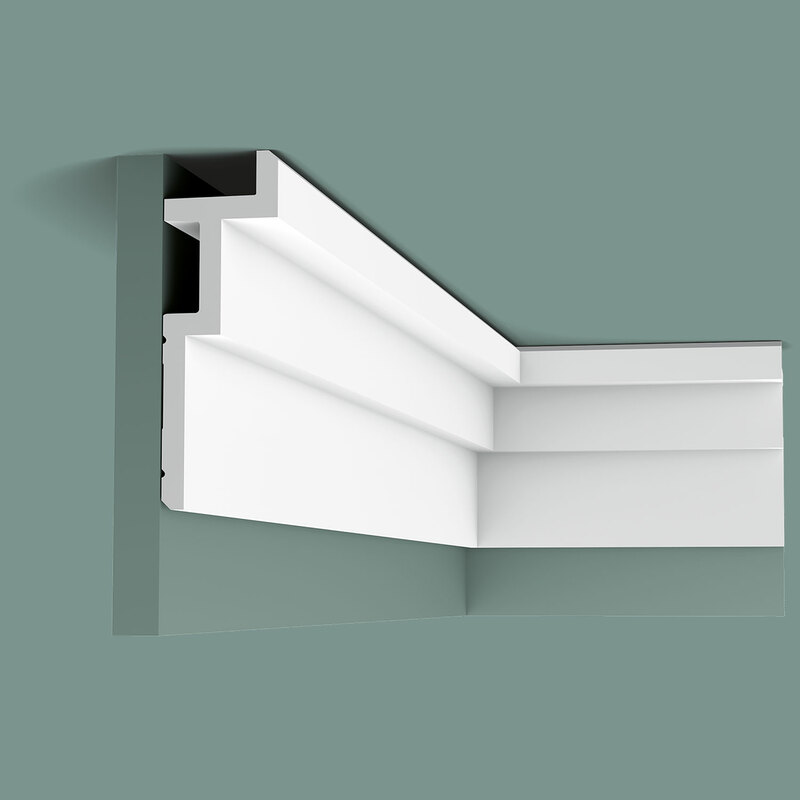 Length: 78-3/4", Height: 3-7/8"
Orac Decor, Polyurethane Cornice Moulding, Primed White. 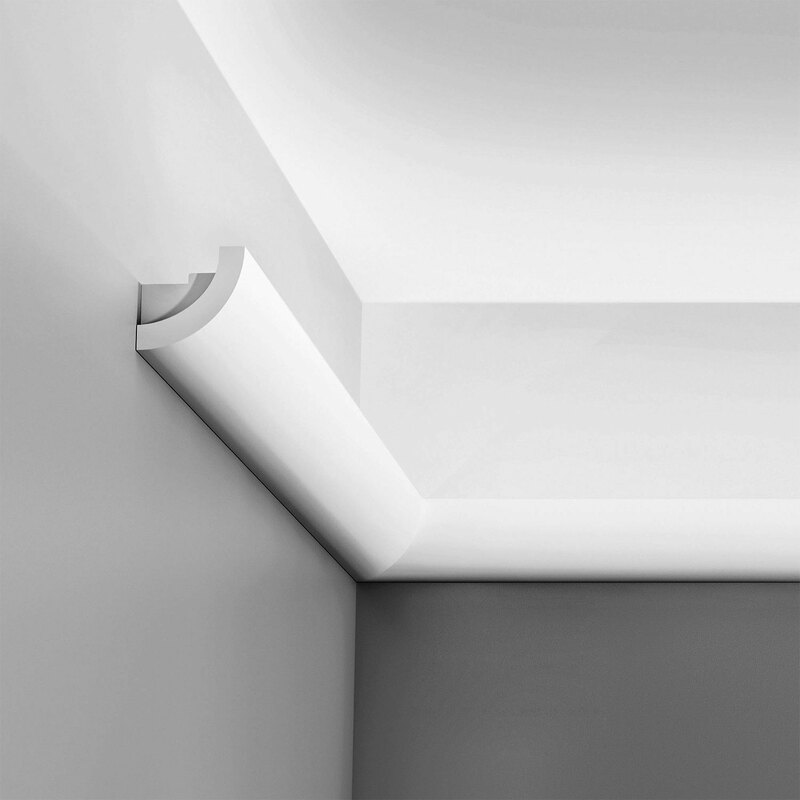 Face: 5-5/8", Length: 78-3/4"
Orac Decor, Duropolymer Multifunctional Moulding, Primed White. 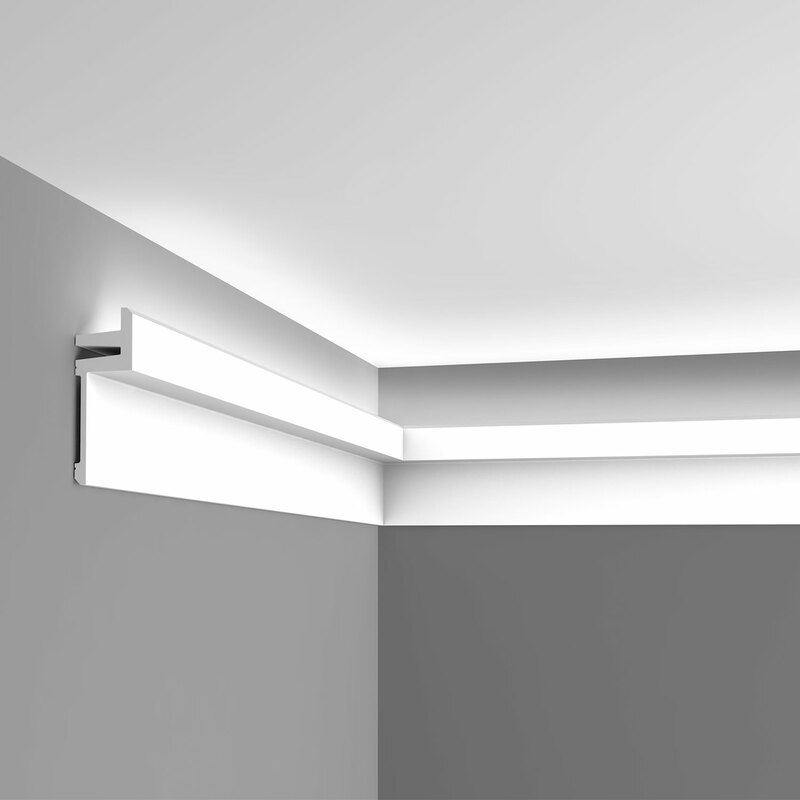 Length: 90", Height: 4"
Orac Decor, Polyurethane Crown Moulding, Primed White. 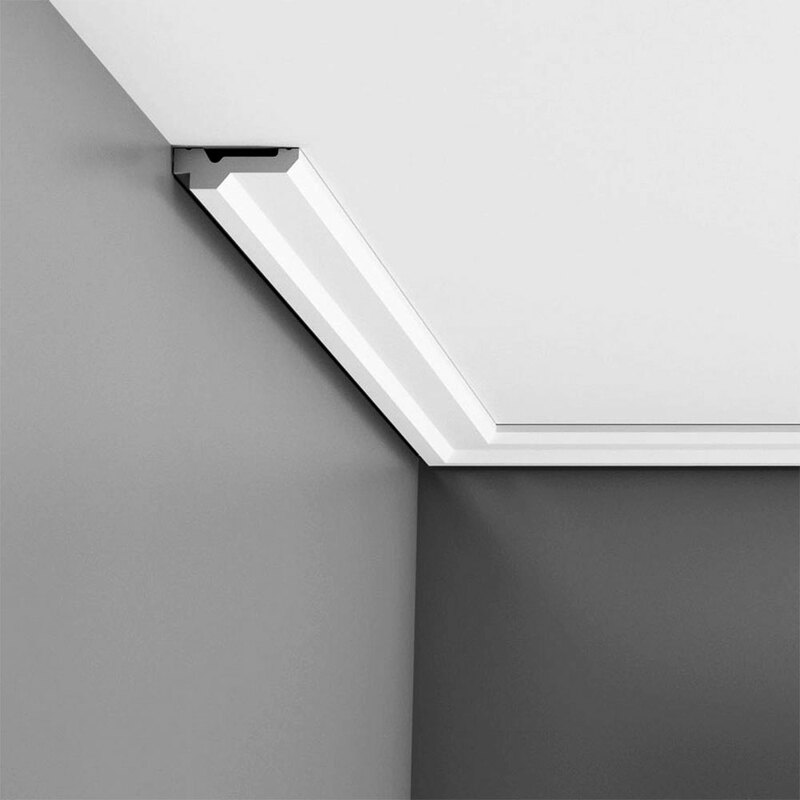 Face: 5-1/2", Length: 78-3/4"
Orac Decor, Polyurethane Crown Moulding, Primed White. 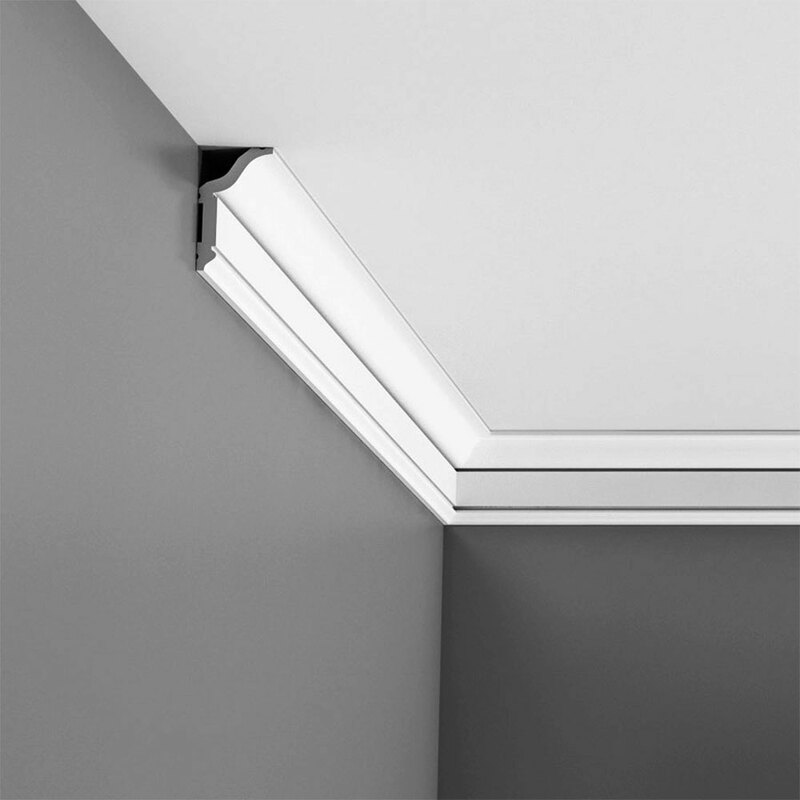 Face: 6-1/4", Length: 78-3/4"
Orac Decor, Polyurethane Crown Moulding, Primed White. Face: 7", Length: 78-3/4"
Orac Decor, Duropolymer Crown Moulding, Primed White. 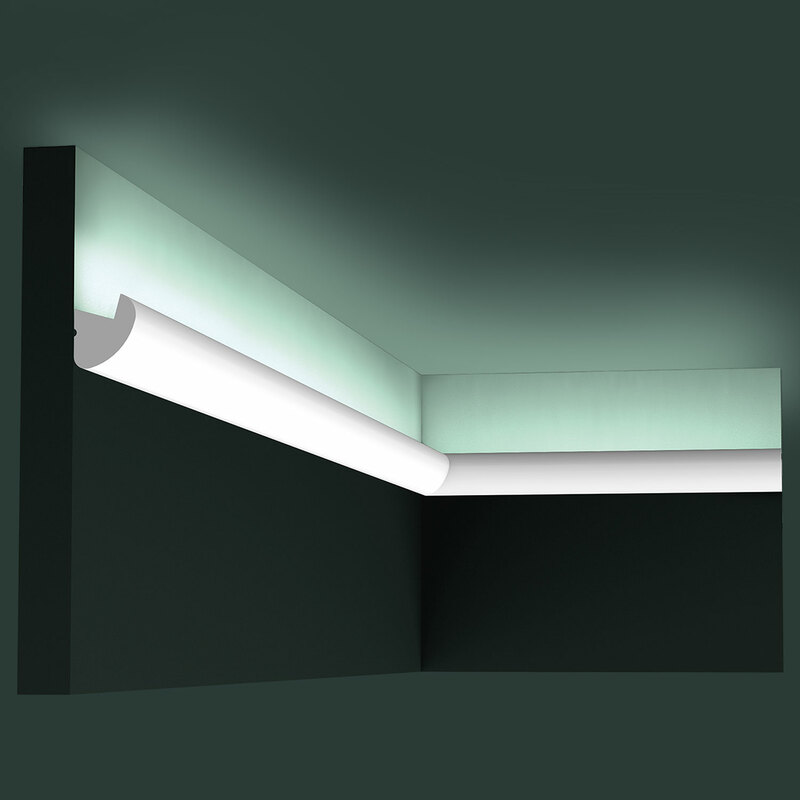 Height: 4-3/8", Length: 90"
Orac Decor, Polyurethane Crown Moulding, Primed White. 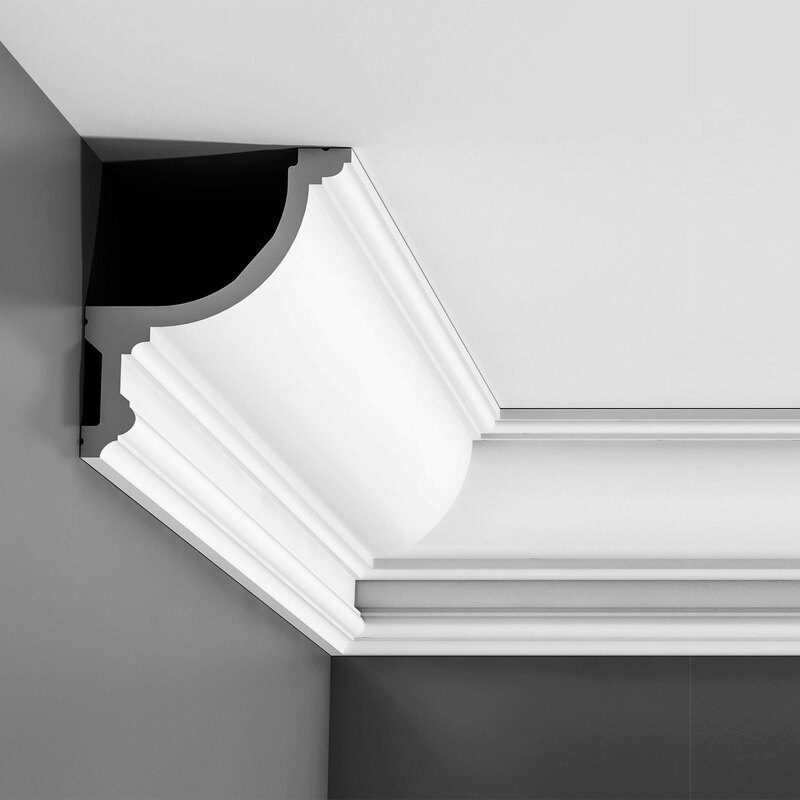 Face: 6-3/4", Length: 78-3/4"
Orac Decor, Duropolymer Crown Moulding, Primed White. 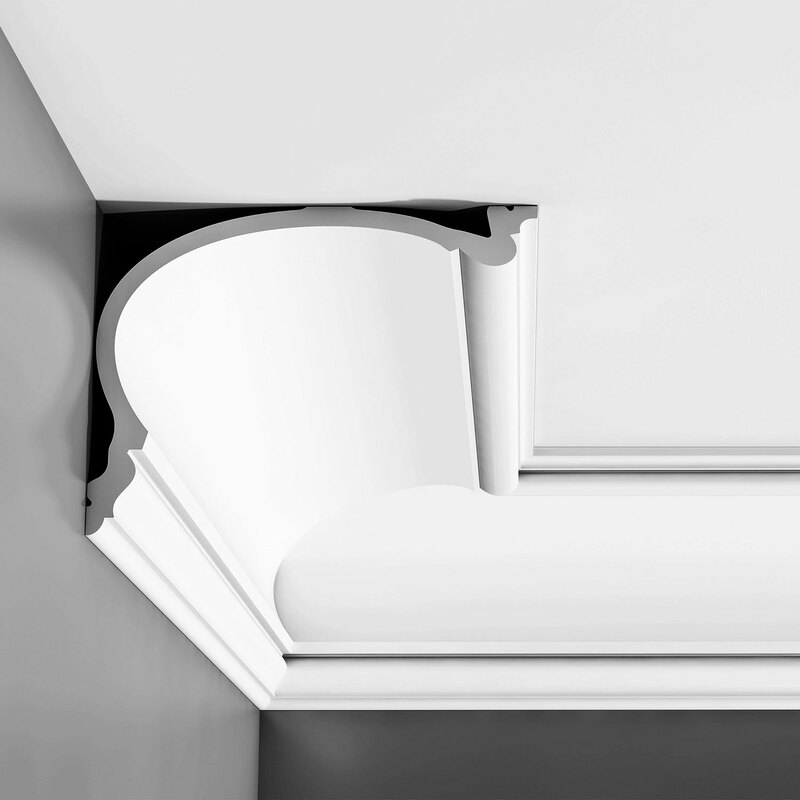 Face: 6-3/8", Length: 78-3/4"
Orac Decor, Duropolymer Crown Moulding, Primed White. 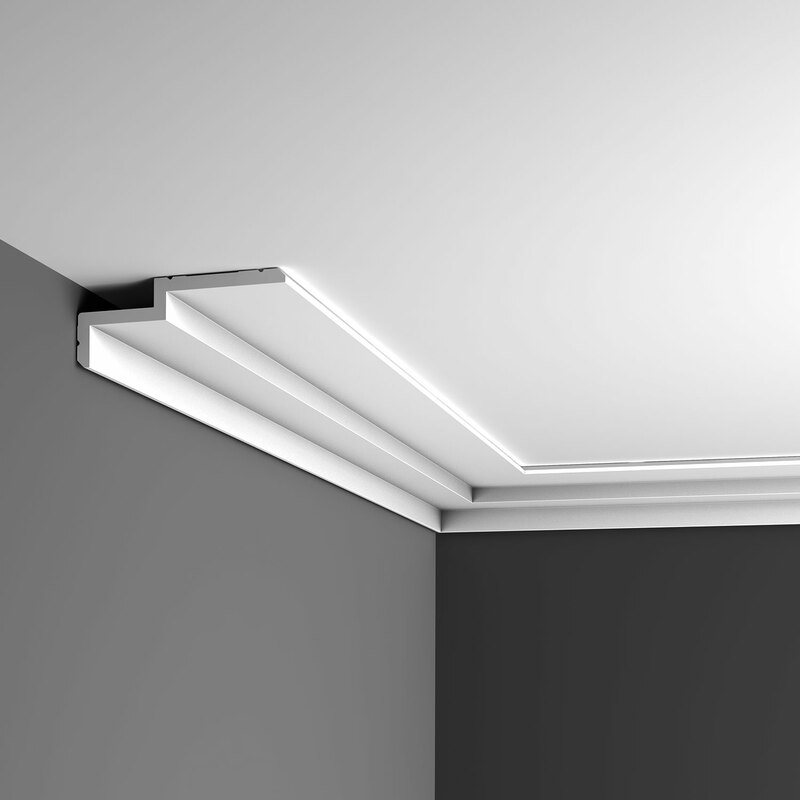 Face: 6-3/8", Length: 96"
Orac Decor, Polyurethane Crown Moulding, Primed White. 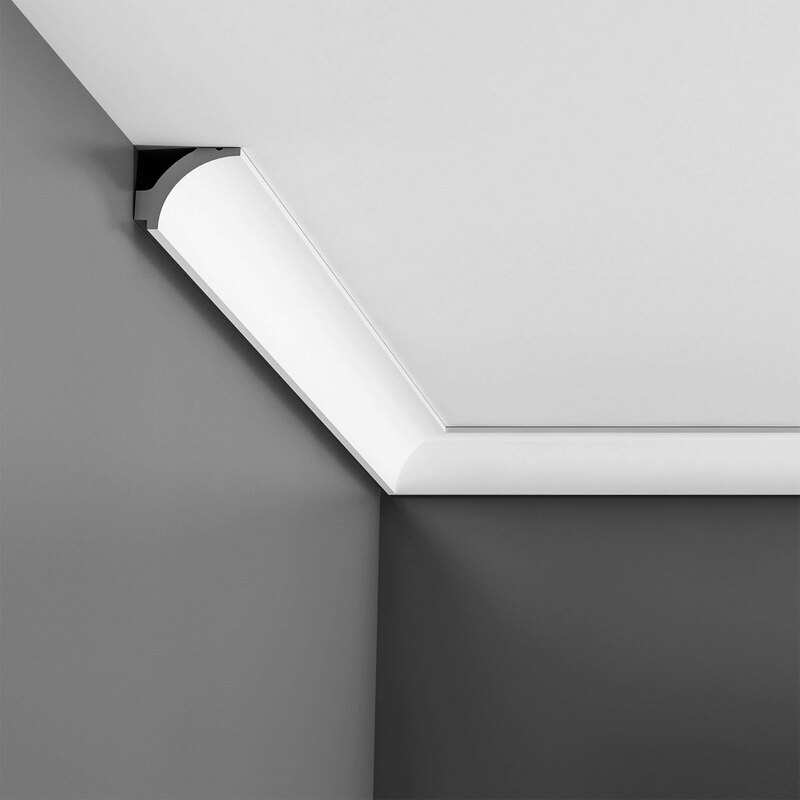 Face: 4-7/8", Length: 78-3/4"
Orac Decor, Polyurethane Crown Moulding, Primed White. 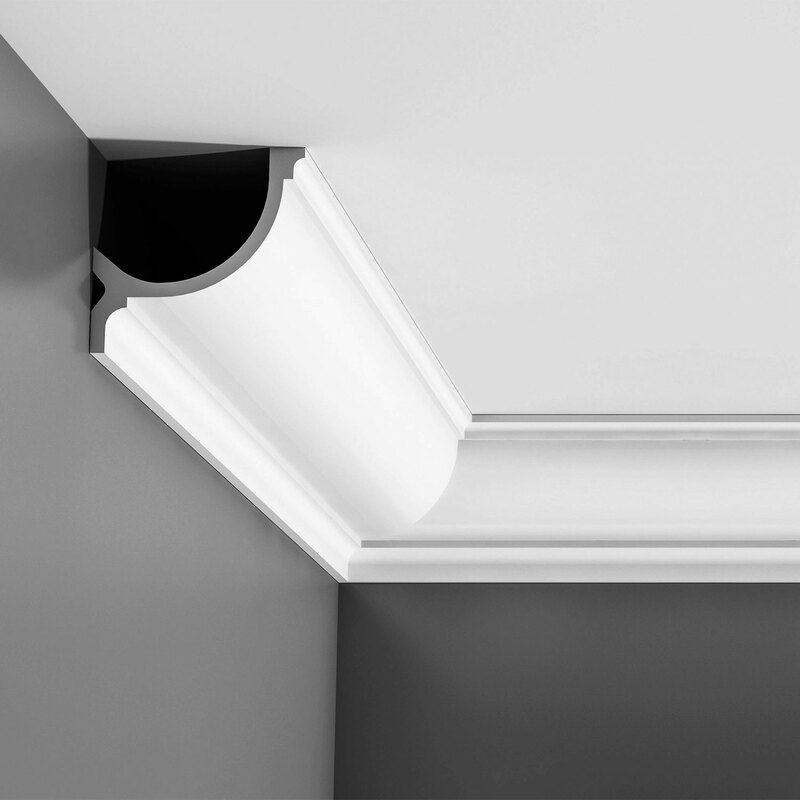 Face: 6-3/8", Length: 78-3/4"
Orac Decor, Polyurethane Crown Moulding, Primed White. 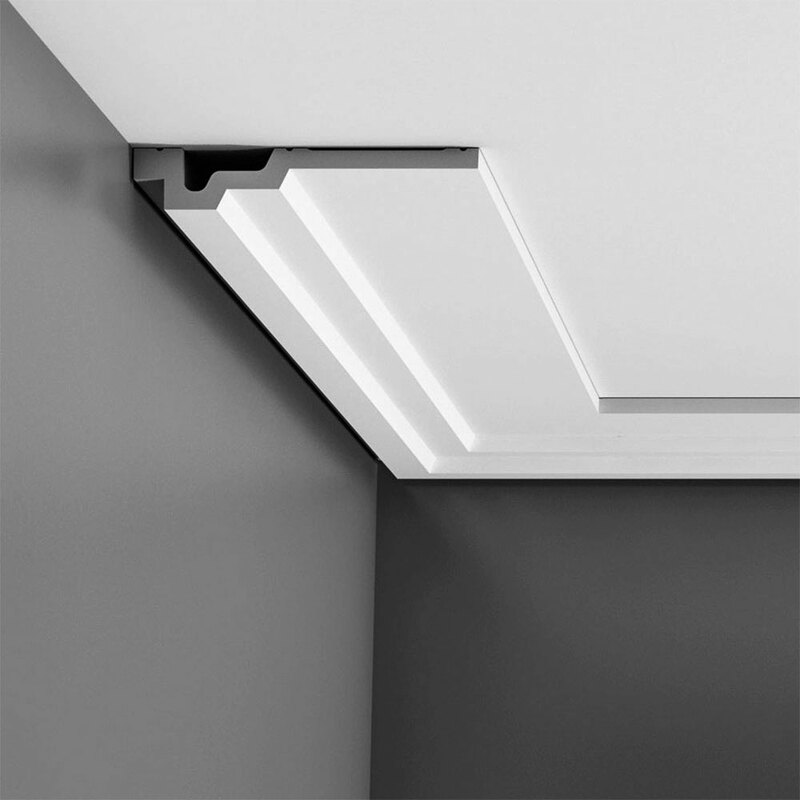 Face: 6", Length: 78-3/4"
Orac Decor, Polyurethane Crown Moulding, Primed White. 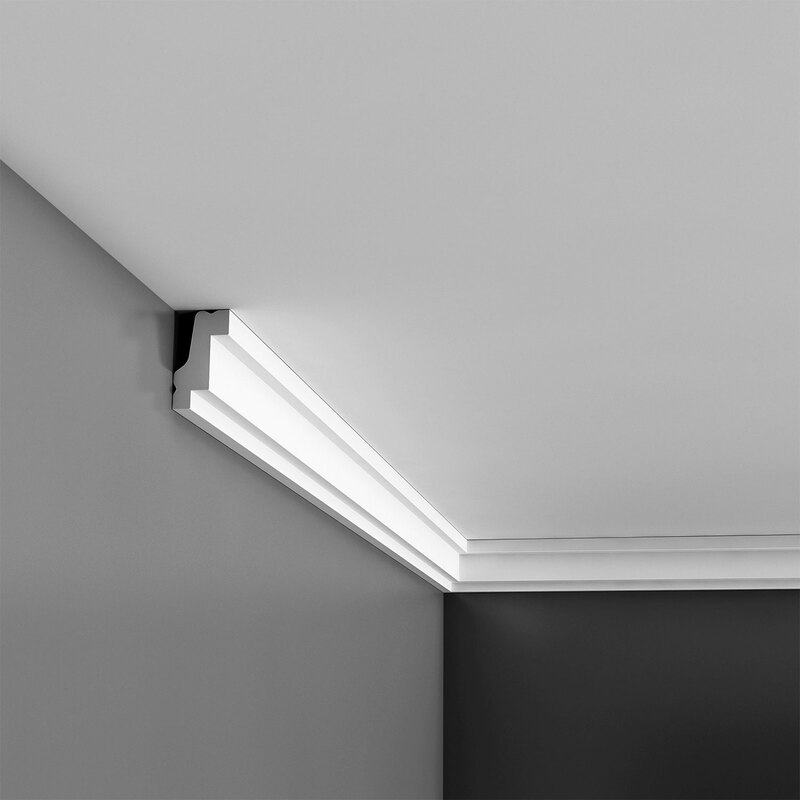 Face: 9-1/4", Length: 78-3/4"
Orac Decor, Polyurethane Crown Moulding, Primed White. Face: 7-1/2", Length: 78-3/4"
Orac Decor, Polyurethane Crown Moulding, Primed White. 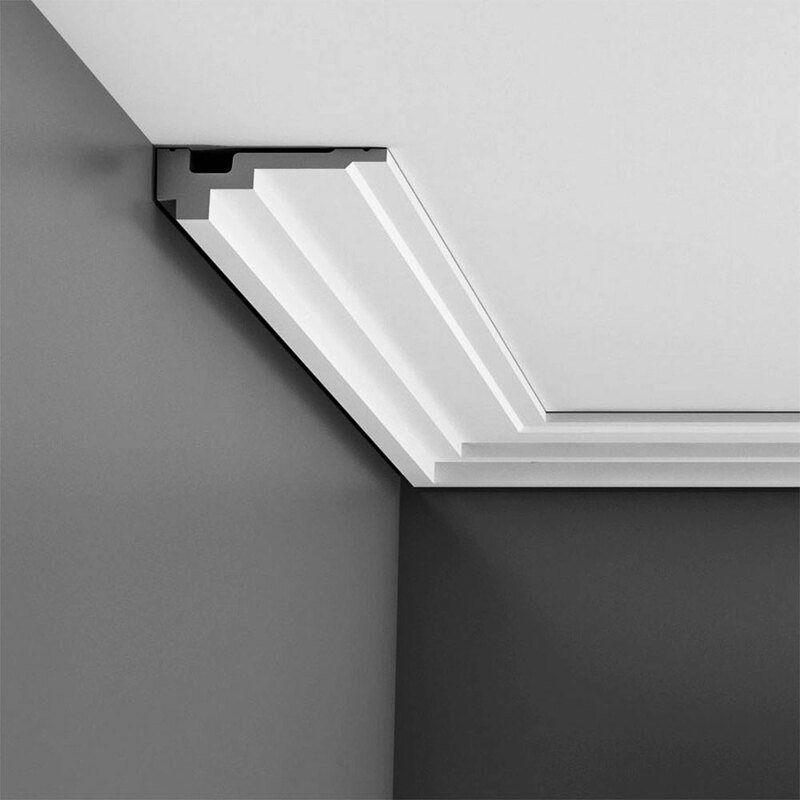 Face: 9-1/2", Length: 78-3/4"
Orac Decor, Polyurethane Crown Moulding, Primed White. 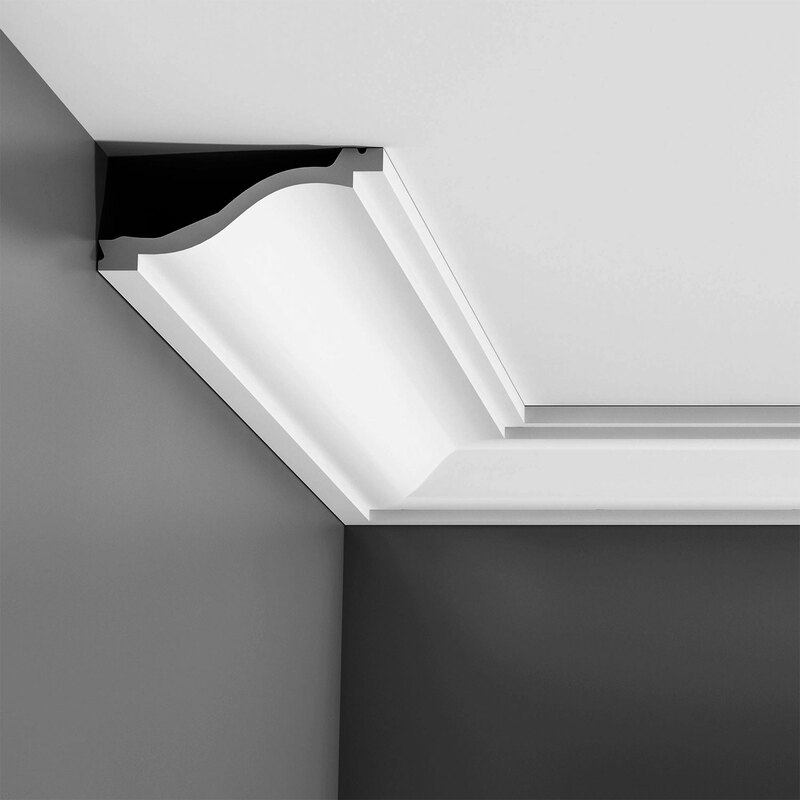 Face: 9-3/4", Length: 78-3/4"
Orac Decor, Polyurethane Crown Moulding, Primed White. Face: 7-1/4", Length: 78-3/4"
Orac Decor, Polyurethane Crown Moulding, Primed White. Face: 10-1/2", Length: 78-3/4"
Orac Decor, Polyurethane Crown Moulding, Primed White. Face: 8-3/8", Length: 78-3/4"
Orac Decor, Polyurethane Crown Moulding, Primed White. 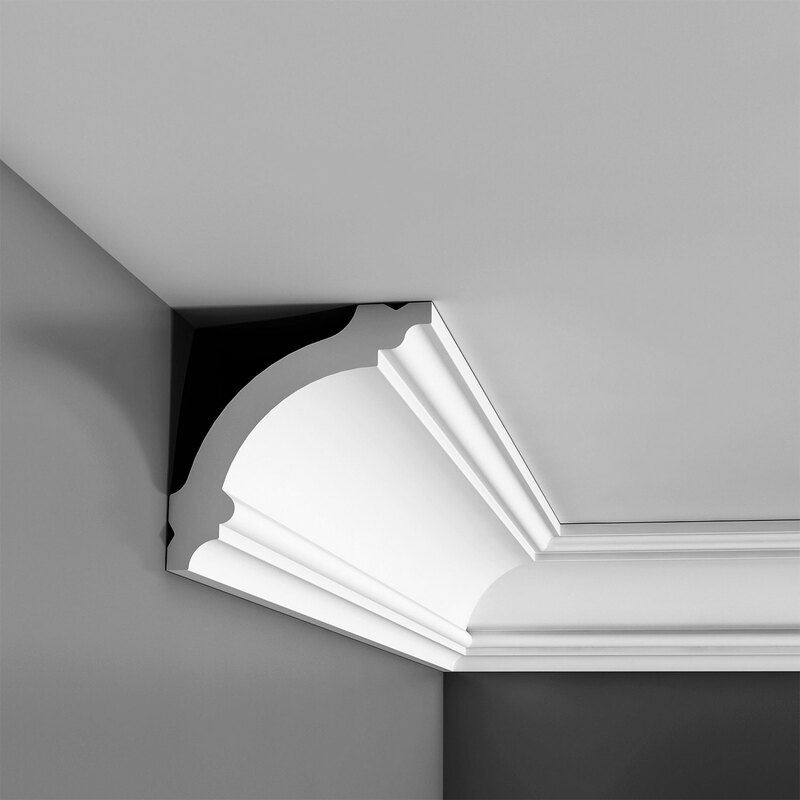 Face: 10, Length: 78-3/4"
Orac Decor, Polyurethane Crown Moulding, Primed White. Face: 8-5/8", Length: 78-3/4"
Orac Decor, Polyurethane Crown Moulding, Primed White. 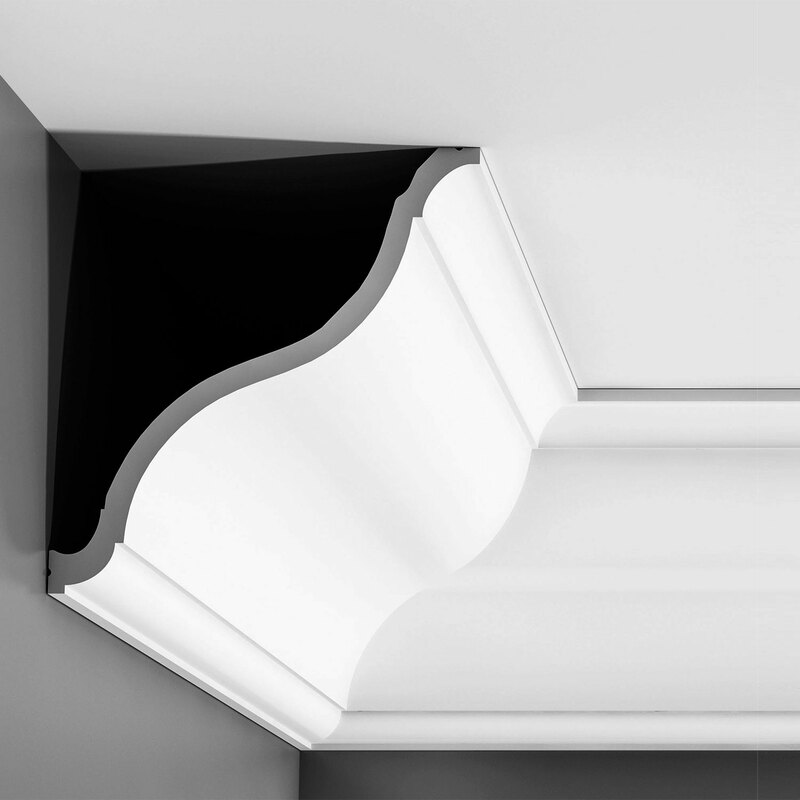 Face: 10", Length: 78-3/4"
Orac Decor, Polyurethane Crown Moulding, Primed White. 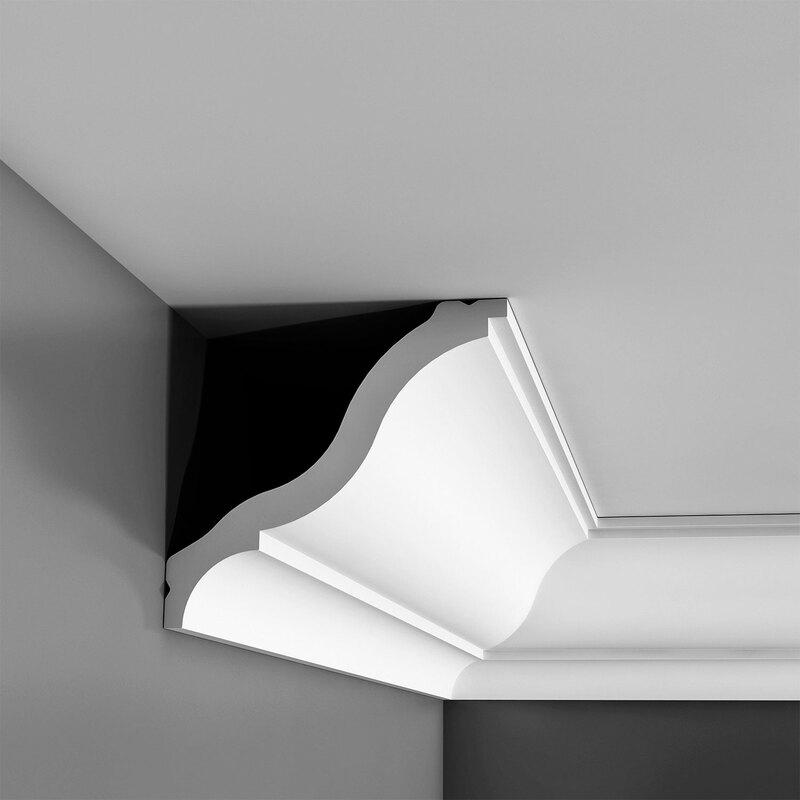 Face: 12-3/8", Length: 78-3/4"
Orac Decor, Polyurethane Crown Moulding, Primed White. 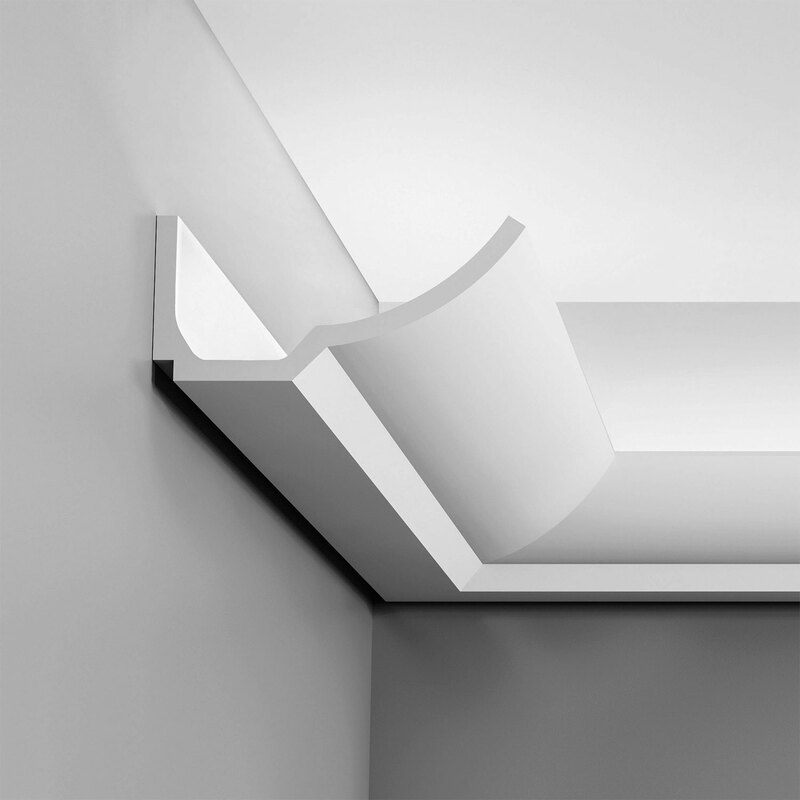 Face: 10-3/8", Length: 78-3/4"
Orac Decor, Polyurethane Crown Moulding, Primed White. 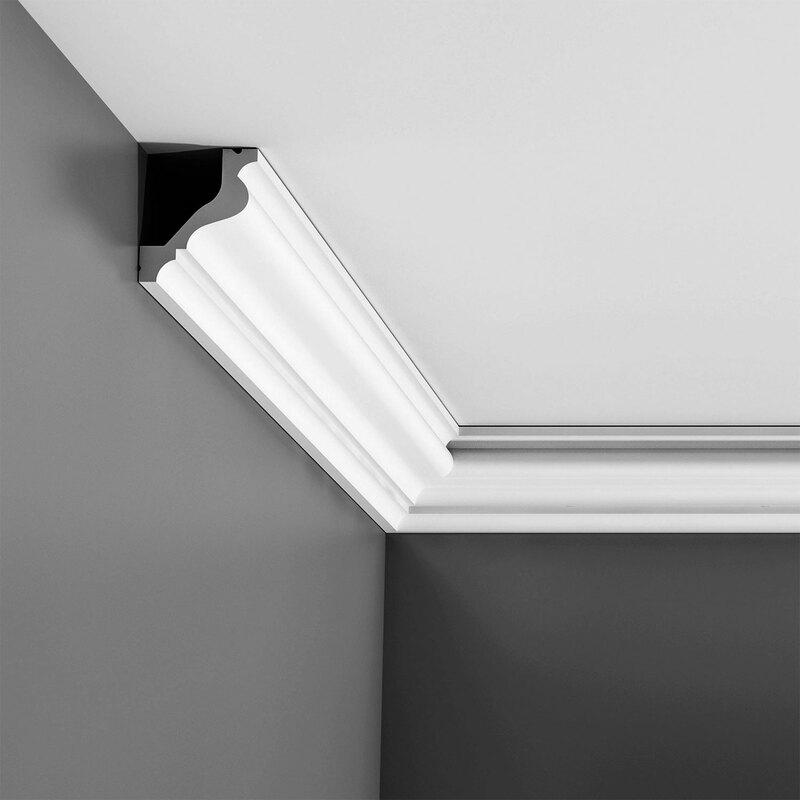 Face: 11-1/2", Length: 78-3/4"
Orac Decor, Polyurethane Crown Moulding, Primed White. 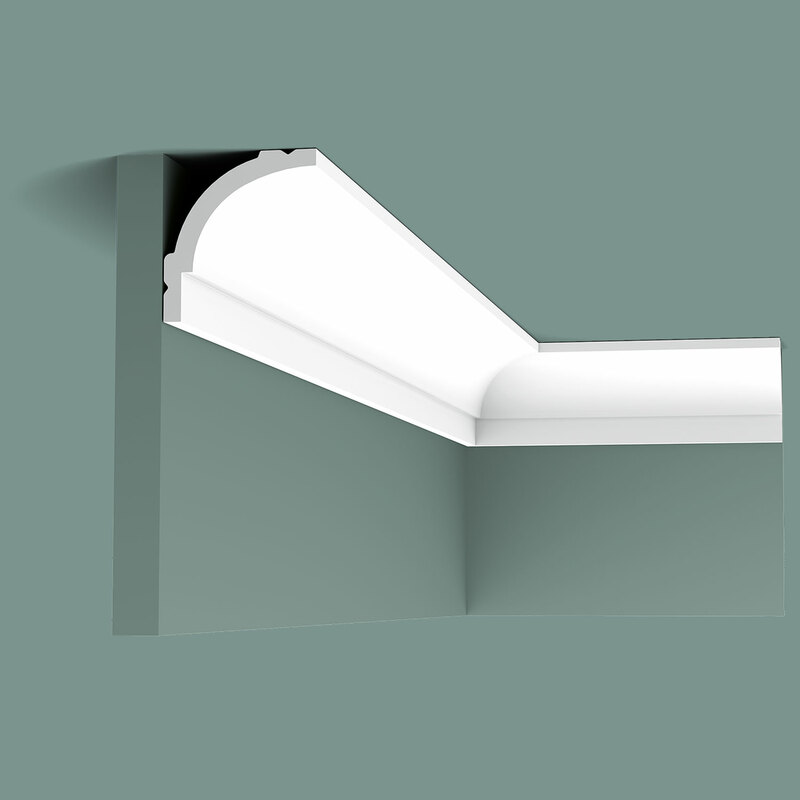 Face: 9-7/8", Length: 78-3/4"
Orac Decor, Polyurethane Crown Moulding, Primed White. 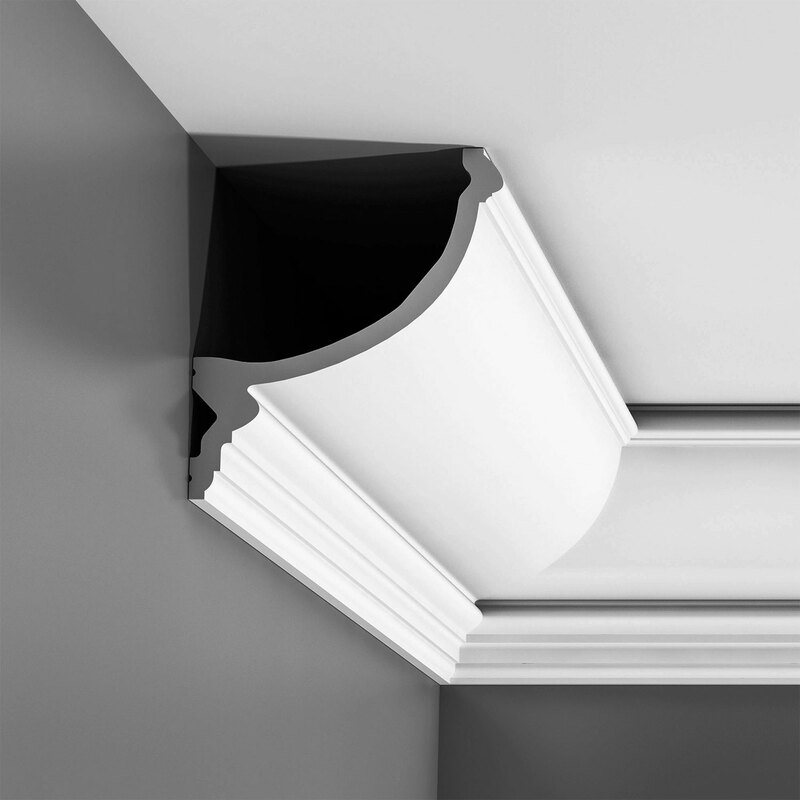 Face: 11-3/4", Length: 78-3/4"
Orac Decor, Polyurethane Crown Moulding, Primed White. 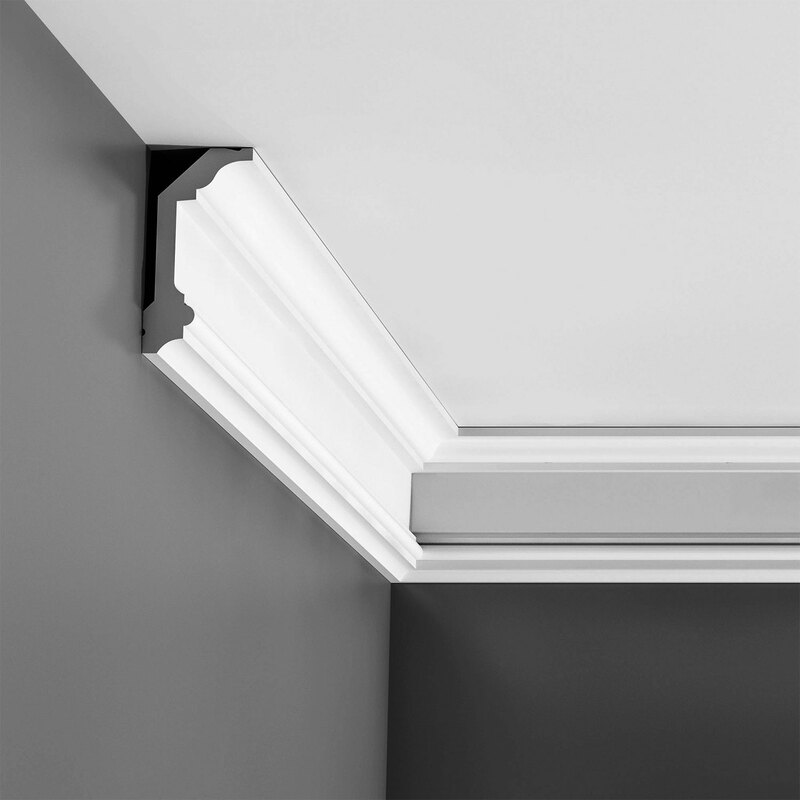 Face: 11-1/4", Length: 78-3/4"
Orac Decor, Polyurethane Crown Moulding, Primed White. 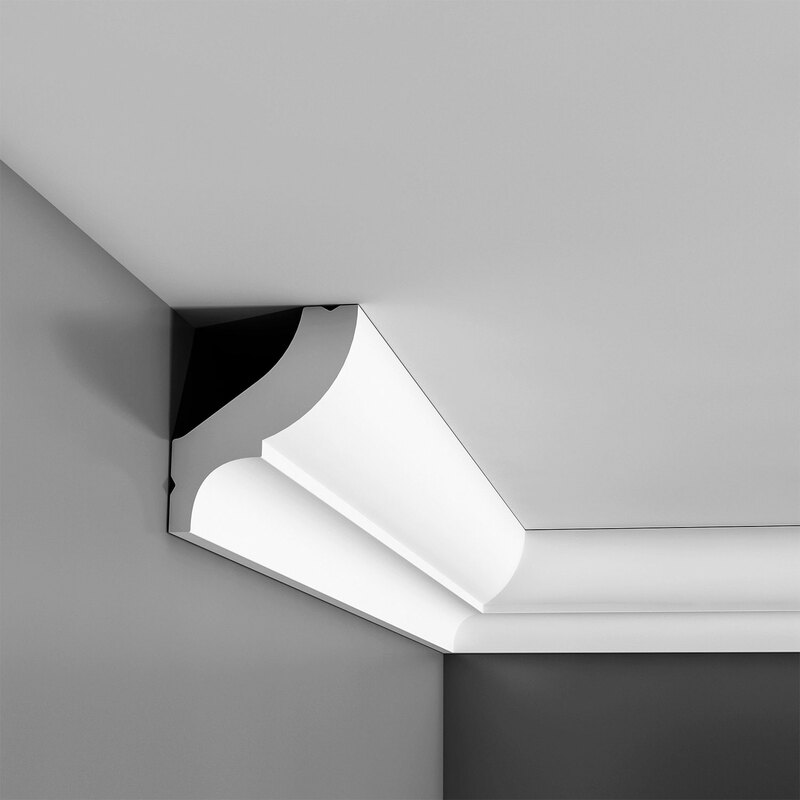 Face: 14-3/4", Length: 78-3/4"
Orac Decor, Polyurethane Crown Moulding, Primed White. 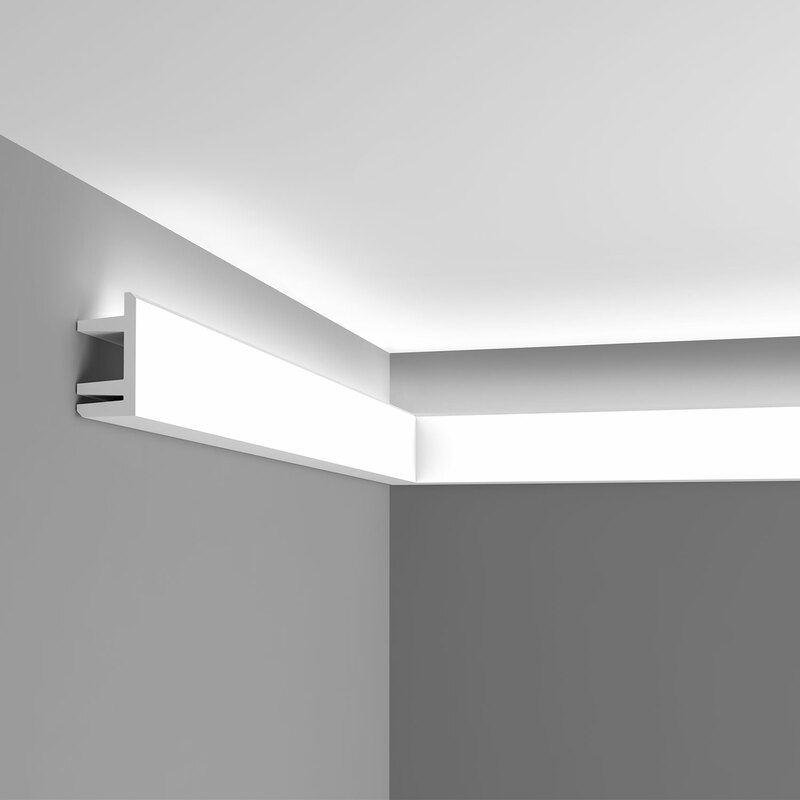 Face: 17-1/2", Length: 78-3/4"
Orac Decor, Polyurethane Multifunctional Moulding, Primed White. 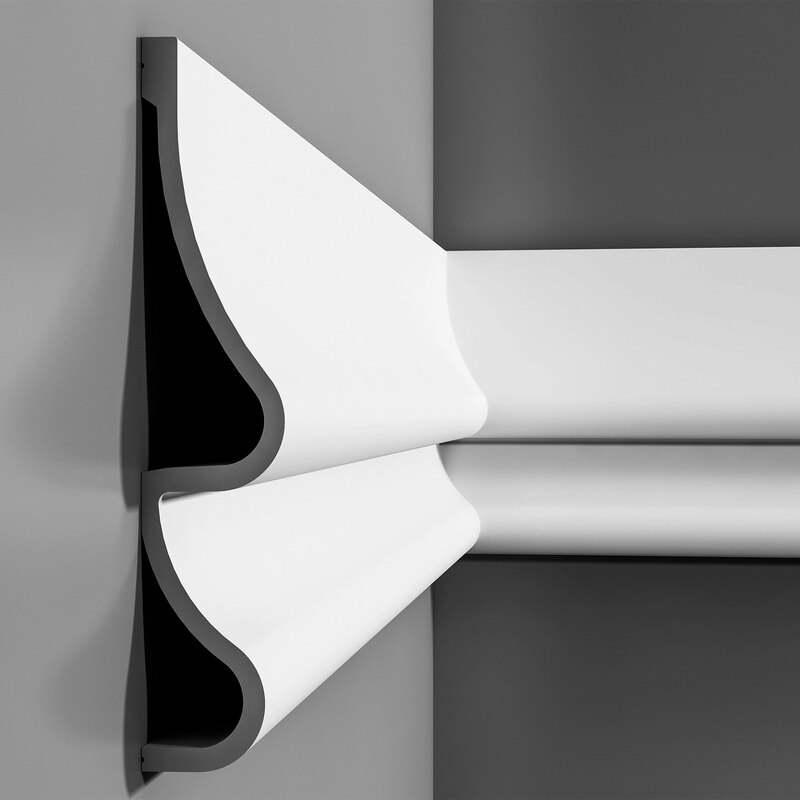 Length: 78-3/4", Height: 14-5/8"